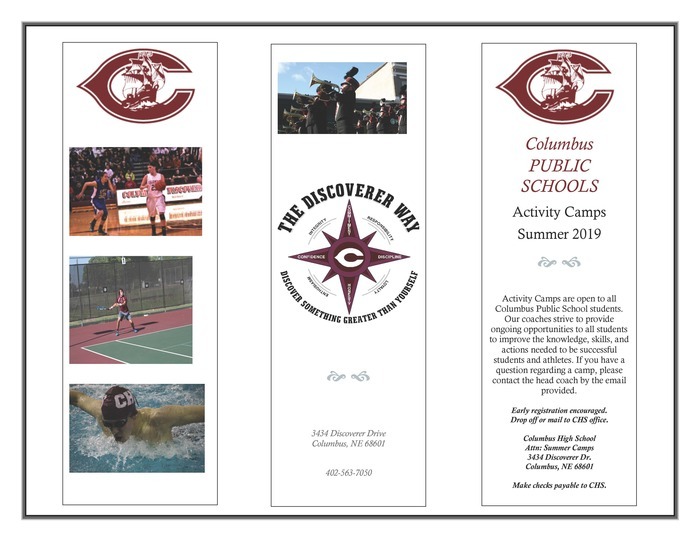 CHS has released the 2019 summer activity camps. 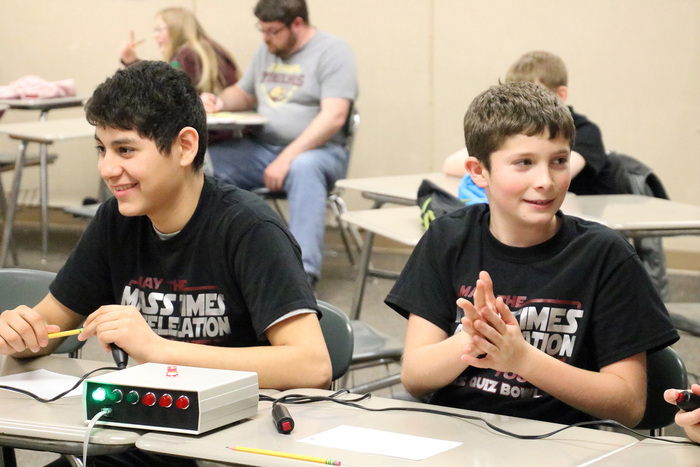 Congratulations to Shaun Clemens and Aiden Cromwell as they won the 2019 State Mechatronics competition Saturday at the Nebraska State Leadership and Skills Contest in Grand Island. 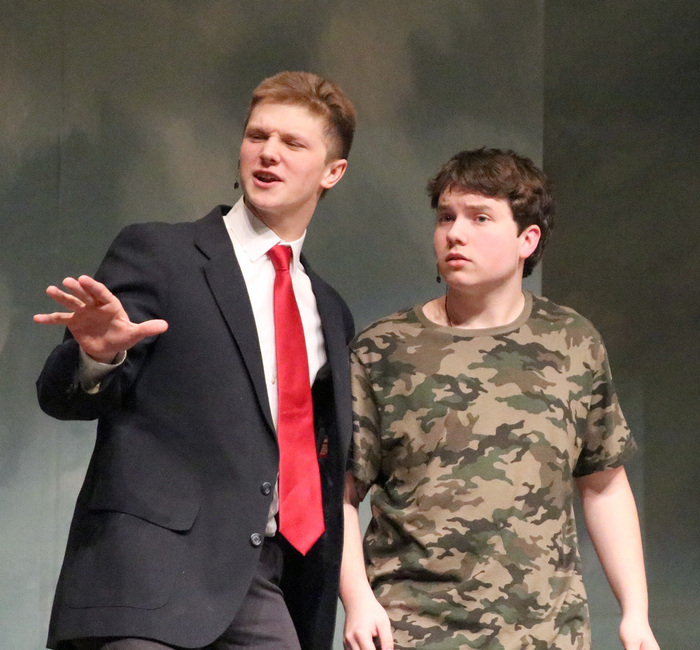 They will represent Columbus High School June 24th – 28th at the National Leadership Contest in Louisville Kentucky. In Automated Manufacturing the team of Logan Garbers, Kaden Hughes, and Pedro Zayas Vargas placed 3rd. 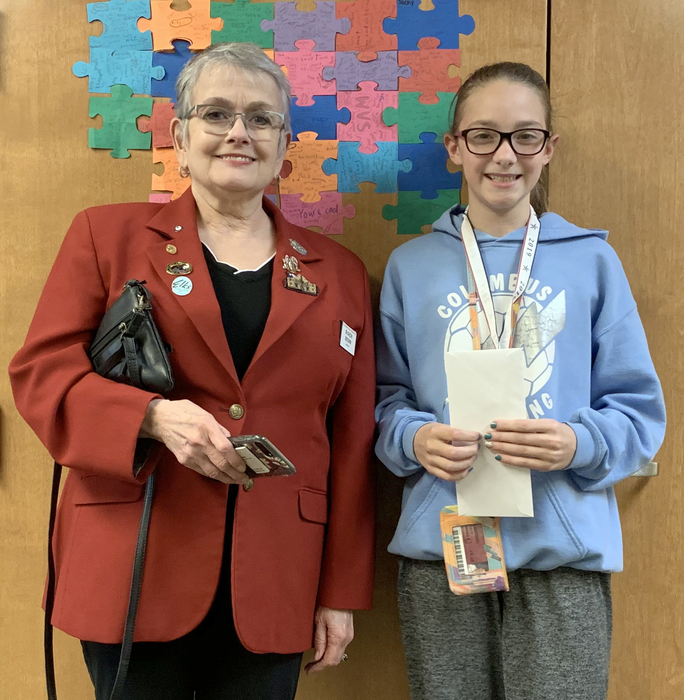 Congratulations to CMS fifth grader Avery for winning the fifth and sixth grade division of the Elks Essay contest. This year’s essay theme was “What Makes You Proud of America? 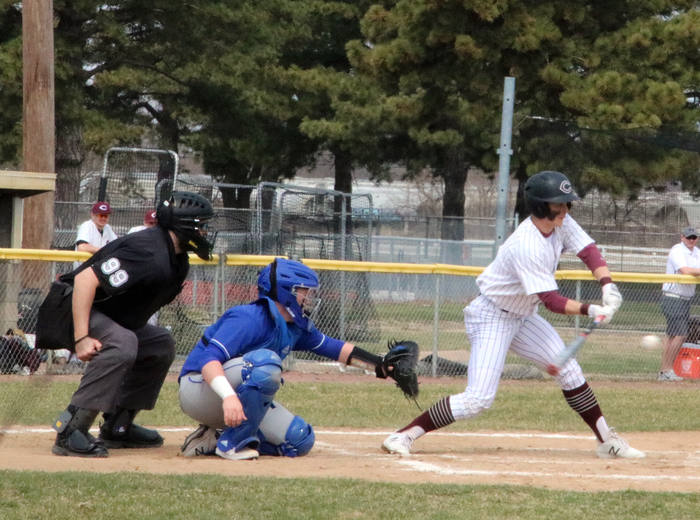 The Discoverers baseball team defeated Seward in extra innings to win 6-5. Congratulations! 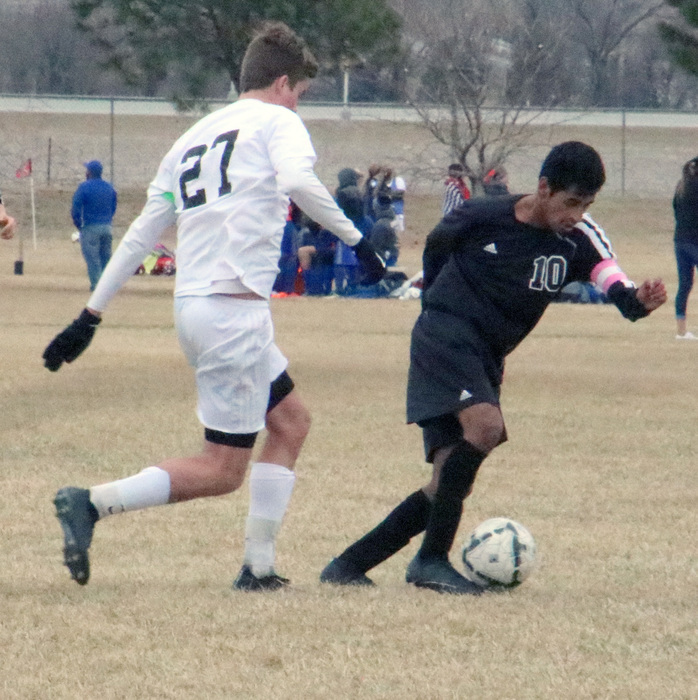 The CHS Boys' Soccer team defeated Grand Island 2-0. 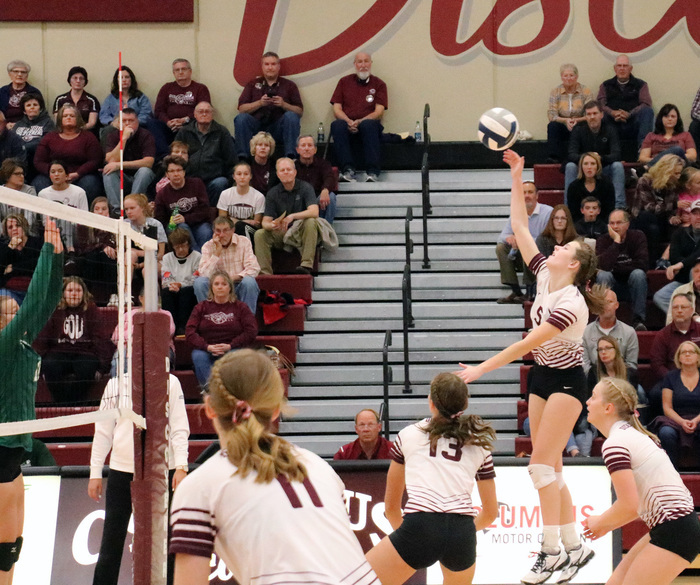 Congratulations Discoverers! 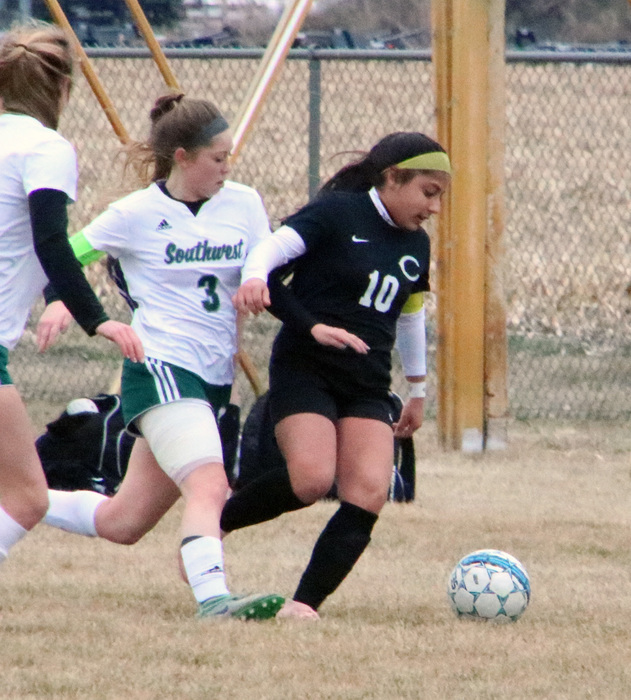 Eat at Runza on April 2. 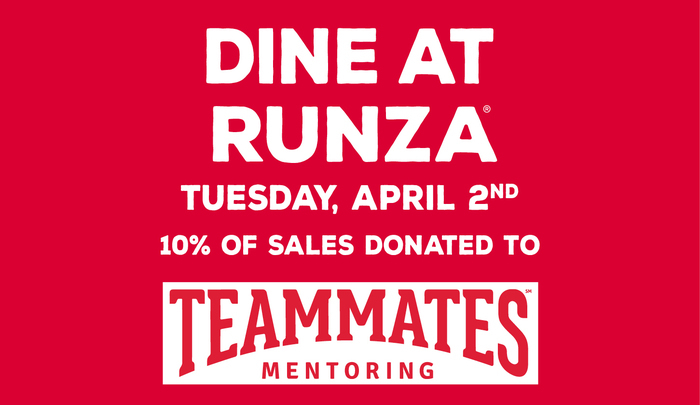 Runza will donate 10 percent of the sales to TeamMates, which many CPS students are involved in. Congratulations to Mr. Dave Hiebner on being selected as the new Principal of Columbus High School! 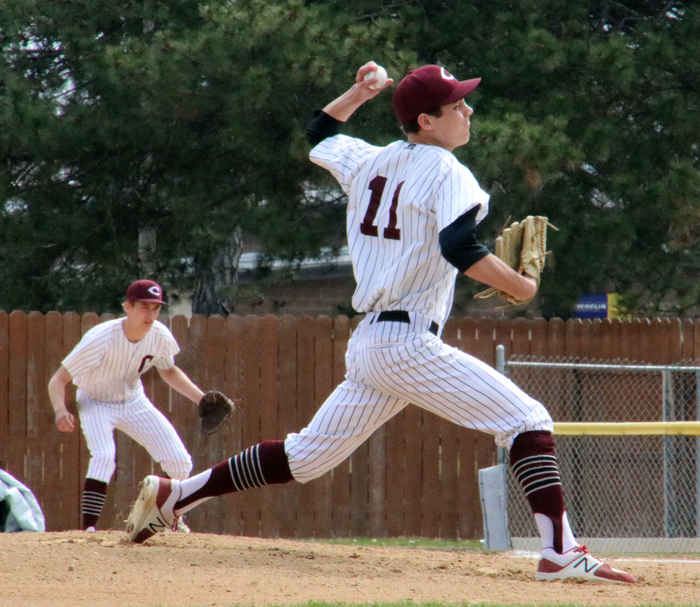 The Discoverers lost their home opening 17-2 to Norris. 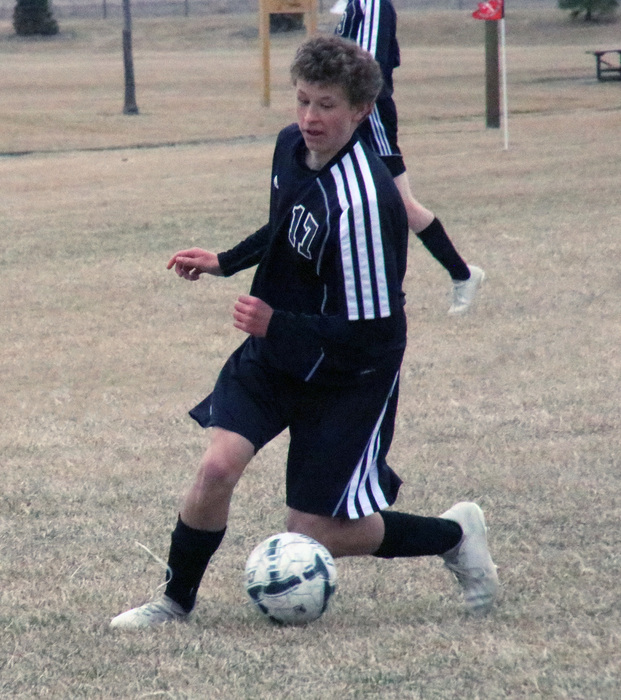 The Boys' Soccer Team fell to Lincoln Southwest 3-0. 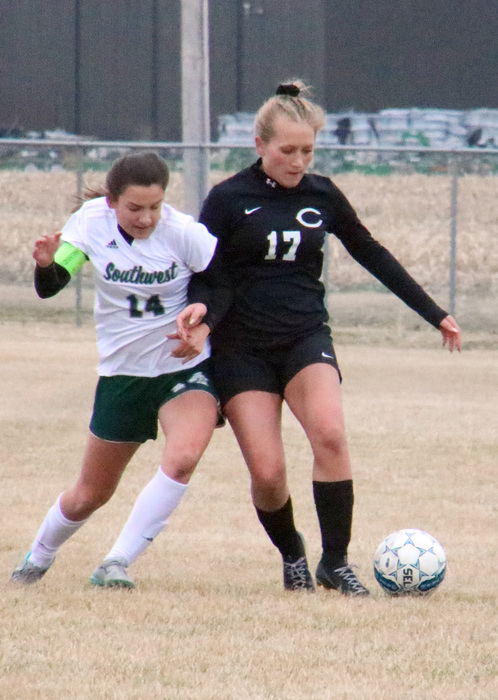 The CHS Girls' Soccer team lost another close one in overtime to Lincoln Southwest. 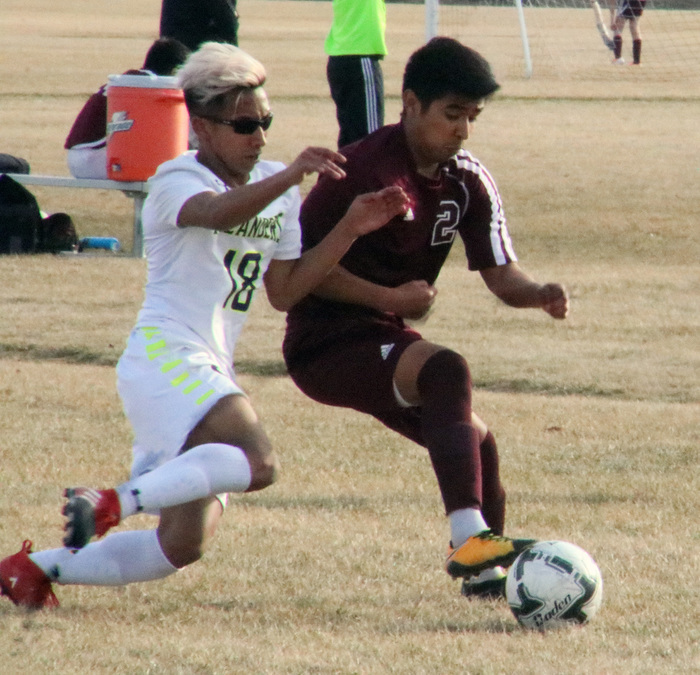 The Discoverers fell to the Silver Hawks 1-0. There will be an informational CHS Cheer Tryout meeting in the IMC on Tuesday, March 26 at 5:30 p.m. and Thursday, March 28 at 7 p.m. If you are interested in trying out, you and a parent must attend ONE of the informational meetings. 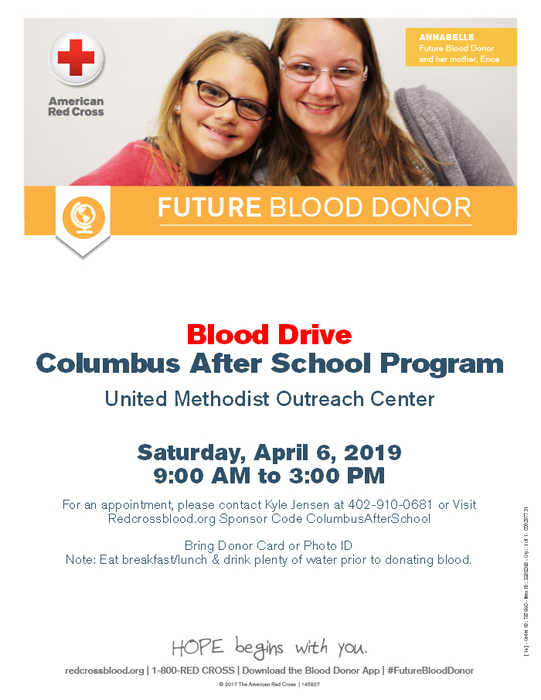 Please e-mail Ms. Joseph at josephv@discoverers.org if you have any questions. 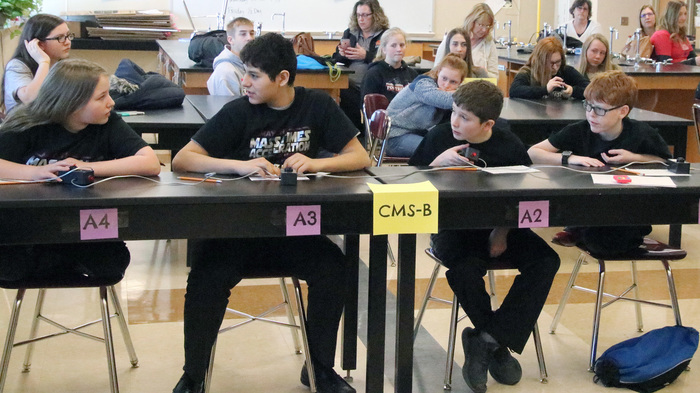 CMS students participated in the ESU 7 Quiz Bowl competition. 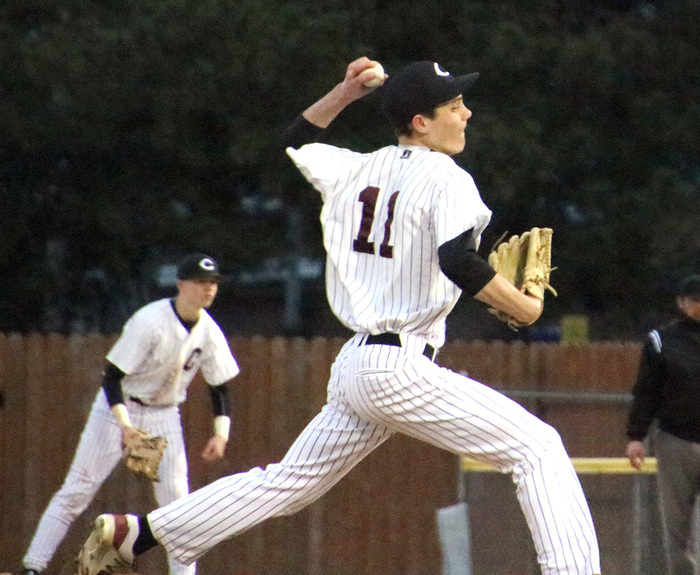 The March 14 Norfolk vs. Columbus (varsity) baseball game in Norfolk and Norfolk vs. Columbus (JV/Res) baseball games in Columbus have been postponed. 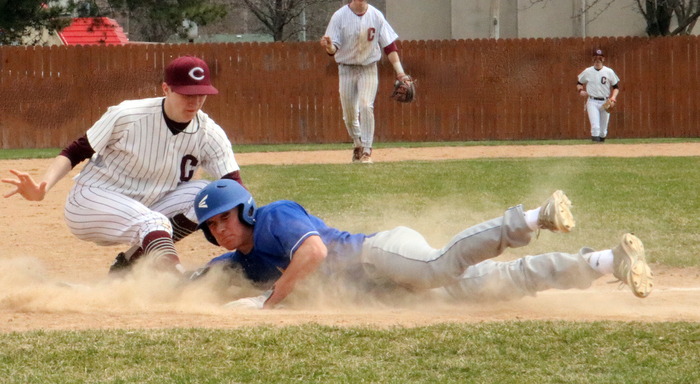 The Columbus vs. Seward baseball games (Varsity/JV) scheduled to be played on March 15 in Columbus also have been postponed. Make up dates are TBD. 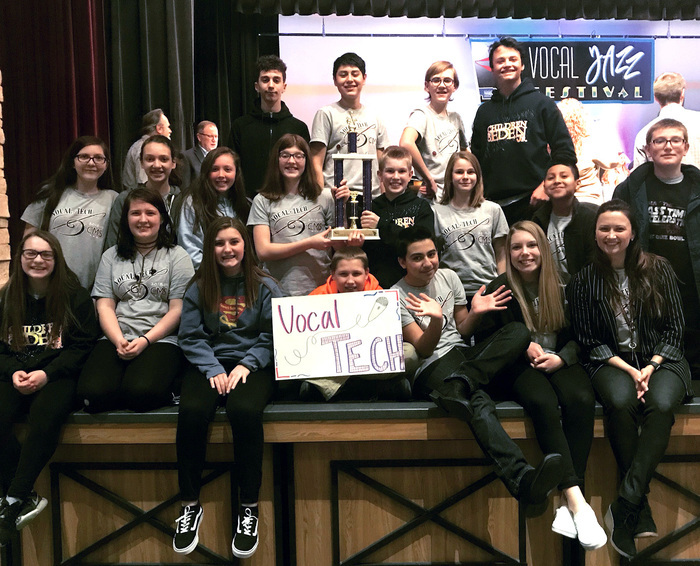 Congratulations to Vocal Tech on receiving the Clinician’s Choice Awards at the NCDA Vocal Jazz Festival. The clinician said the middle school group sang excellent repertoire with heart, soul, balanced chords and blended voices. Way to Go! PowerSchool will be down for about an hour starting at 5 p.m. Sorry for the inconvenience. 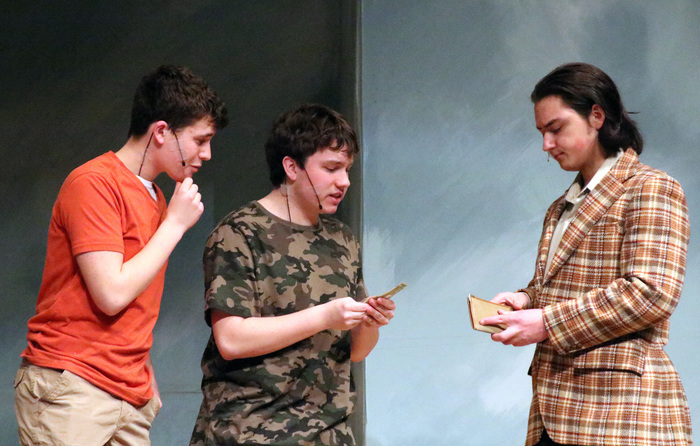 Come check out the play, The Boarding House Reach, tonight at 7 p.m. 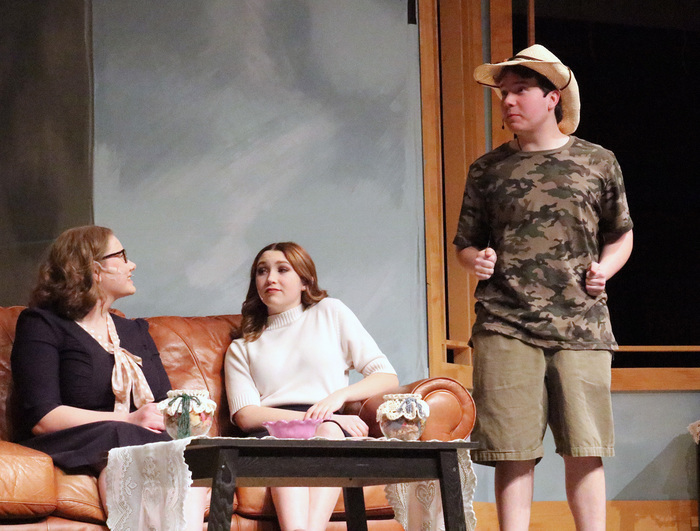 If you can't make it tonight, you can come tomorrow at 2 p.m. and 7 p.m. All performances will be at the Nantkes Performing Arts Center at CMS. 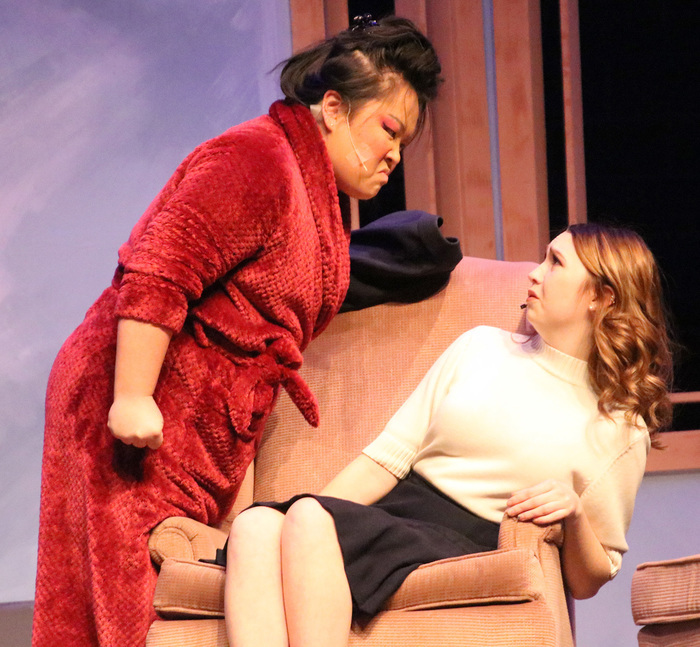 Tickets are $5 for adults and $4 for students. 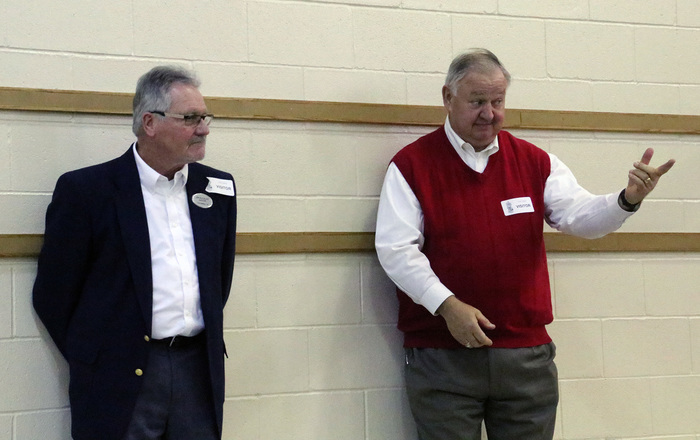 Students with a C-Stamp and activity passes will be honored. Doors open half an hour before showtime. 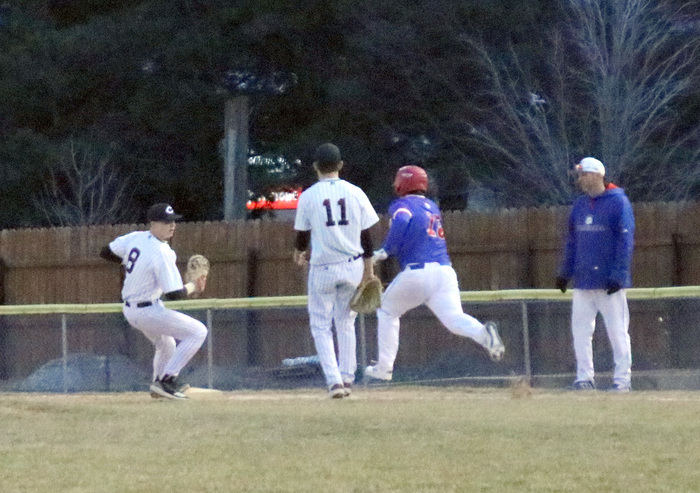 The Waffleman will still be coming to West Park tonight. 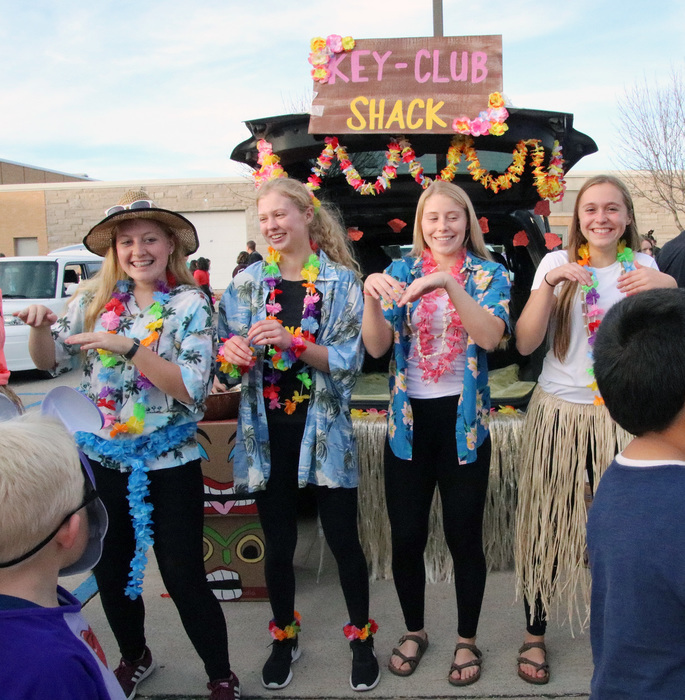 Belgian waffles, five flavors of syrup , whipped cream and sausage will be served from 5-7 p.m. Tickets are $8 and the proceeds will go to support fundraising for the Percussion Playground. The scheduled entertainment will also still be performing. 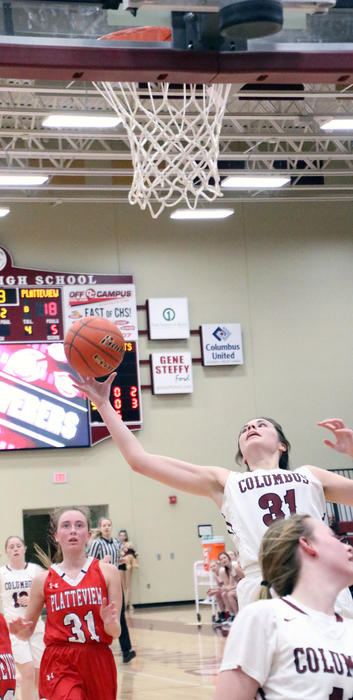 No school for Columbus Public School students today. Required staff are to report. 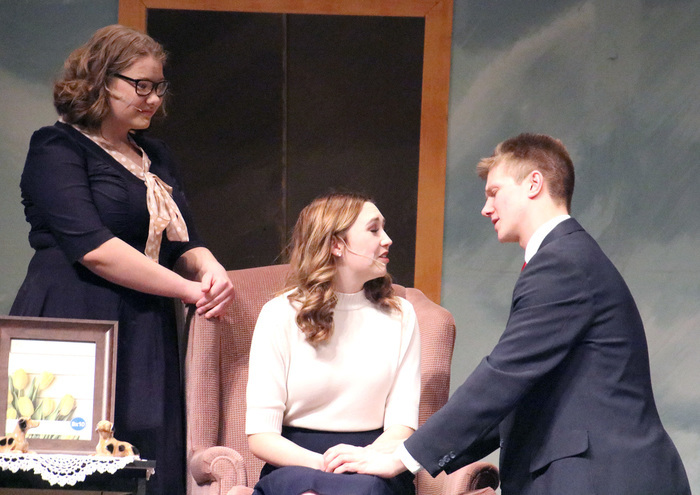 Columbus High School Theatre will perform The Boarding House Reach Friday at 7 p.m. and Saturday at 2 p.m. and 7 p.m. at the Nantkes Performing Arts Center at CMS. 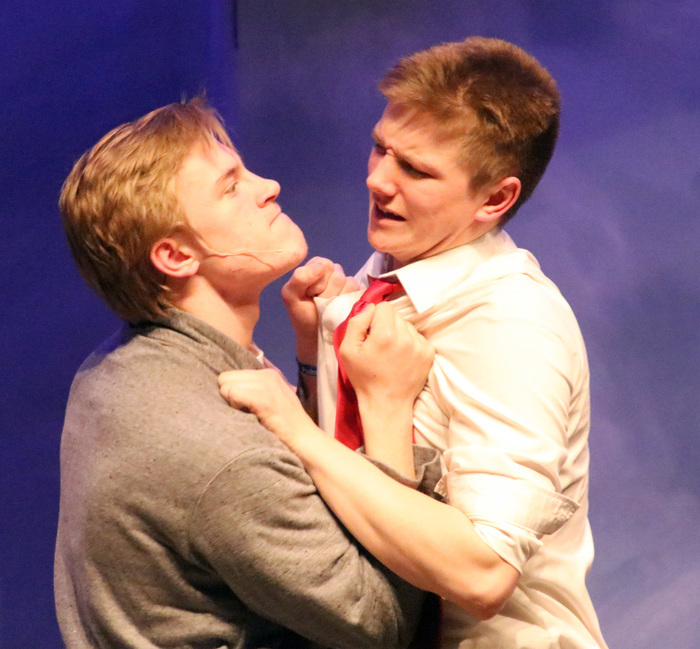 Tickets are $5 for adults and $4 for students. 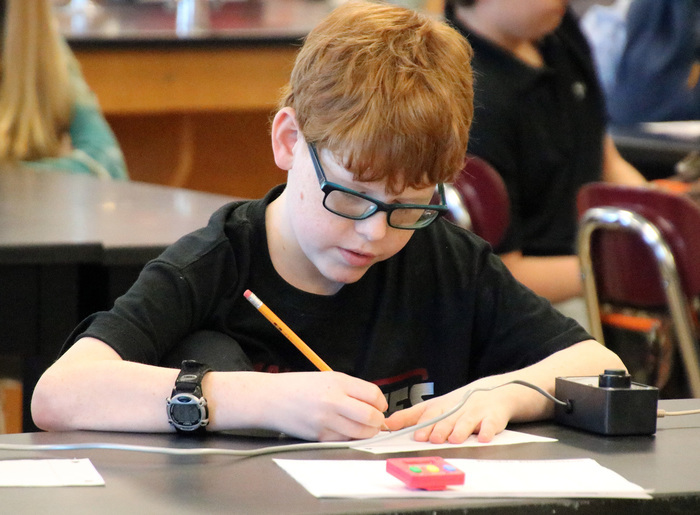 Students with a C-Stamp and activity passes will be honored. Doors open half an hour before showtime. 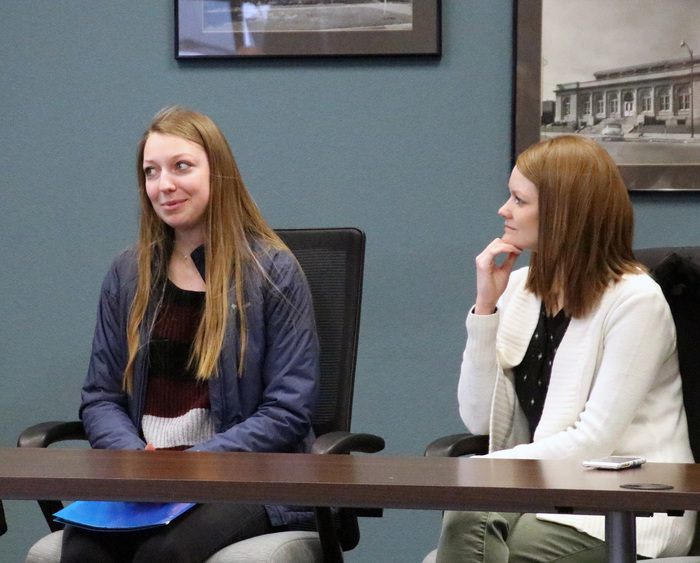 Two CHS students shared their experiences while job shadowing with members of the Columbus Area Chamber of Commerce. 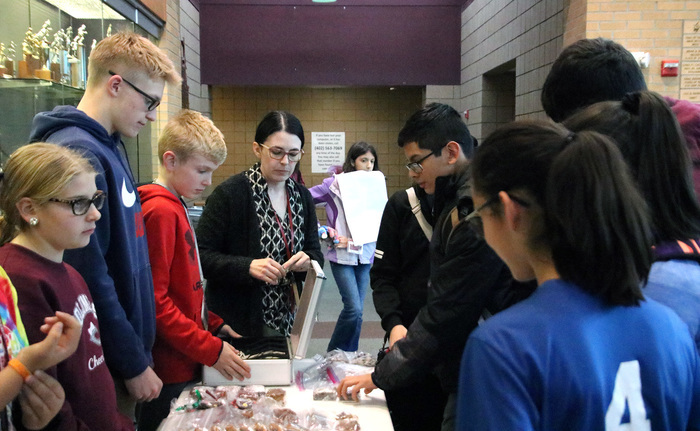 Congratulations to the two CHS Robotics Teams that qualified for the Heartland Regional Robotics Championships on March 1 and 2 at Abraham Lincoln High School in Council Bluffs. 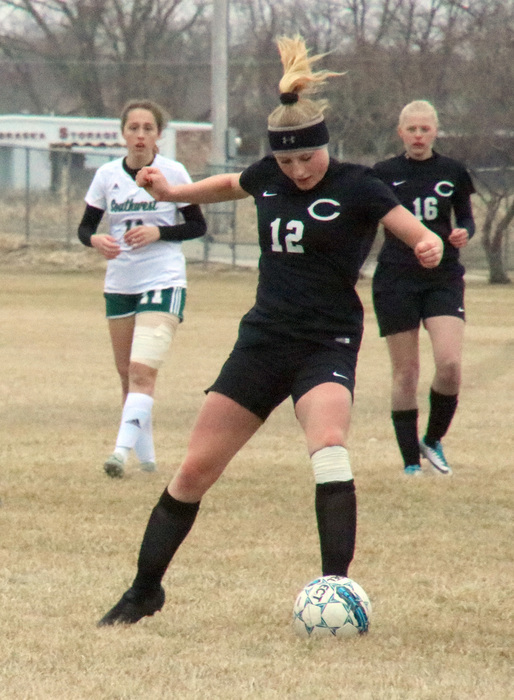 Out of the 24-team field, CHS teams are ranked 11th and 20th. 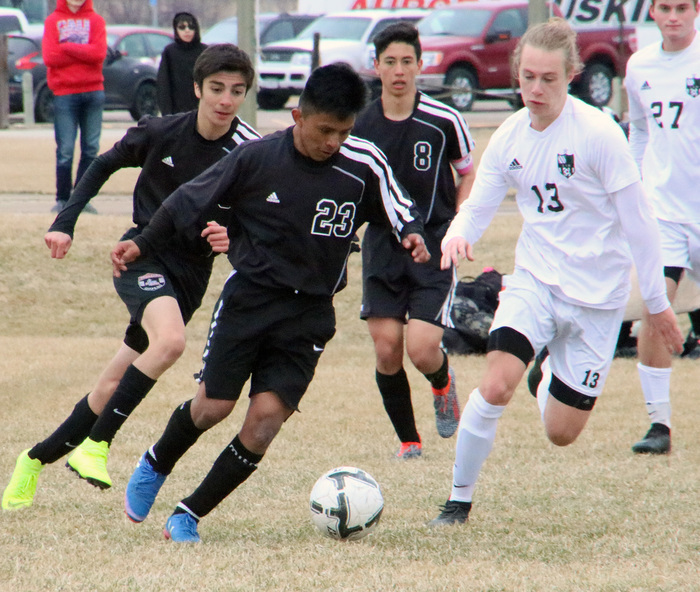 Members of the team include: Adolfo Medina-Lopez, Jessica Reiff, Julia Davidchik, Syrus Jeffcoat, Ethan Welch, Sarah Massman, Isaac Sukovaty and Kadence Kruse. 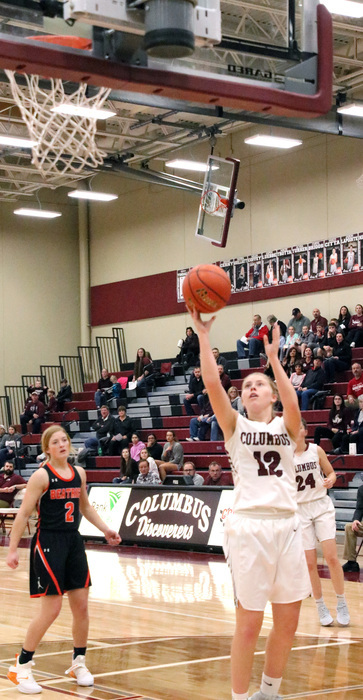 Good luck Discoverers! 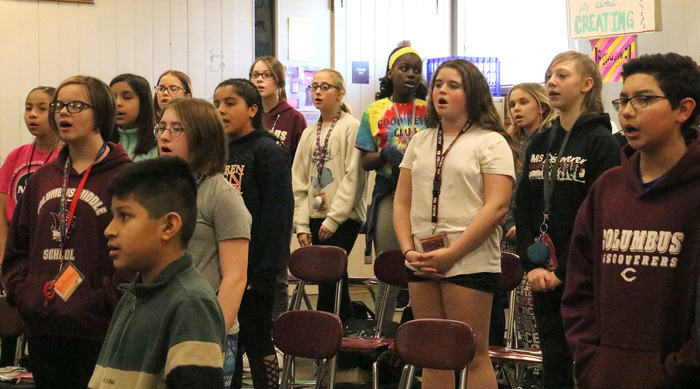 Columbus Public Schools will be hosting a Sing Around Columbus Honor Choir for singers in grades 4-6 at 6 p.m. on February 28 at the CHS Concert Hall. Admission to the concert is $3 and students 12 and under are free. CPS activity passes will be accepted. 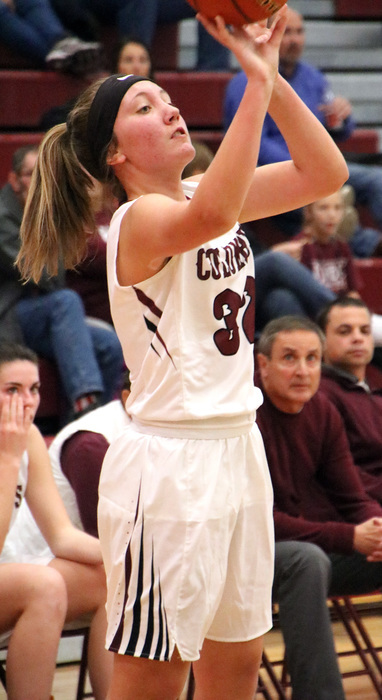 There will also be a special appearance by the CHS groups, Neptune’s Angels and Baker’s Dozen. 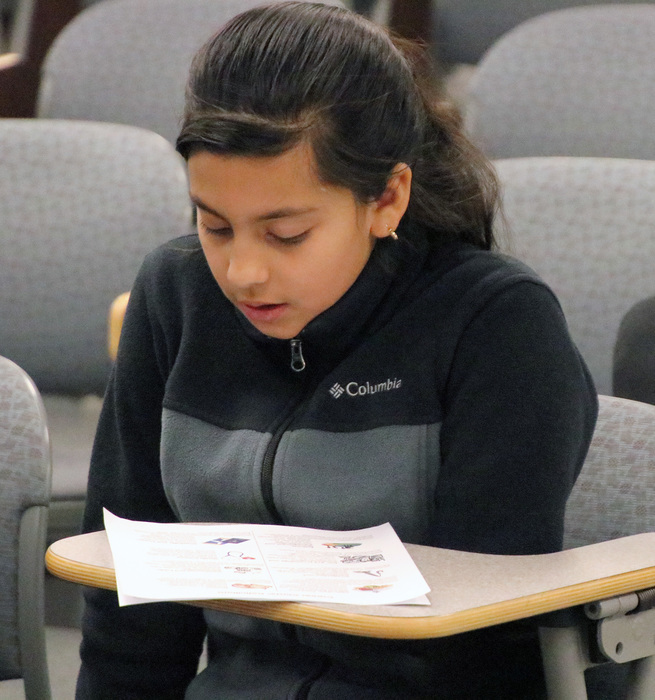 Sing Around Columbus is an audition group of students from Columbus area schools. 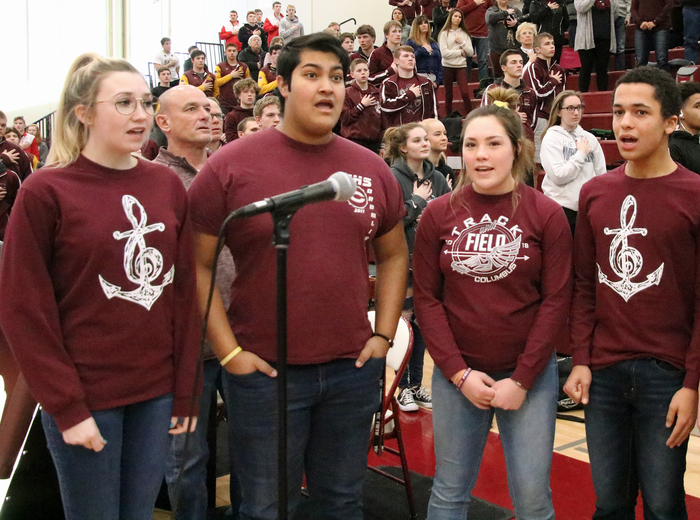 Students will learn the music independently, work with their school music teacher, and then perform with a mass choir at Columbus High School. 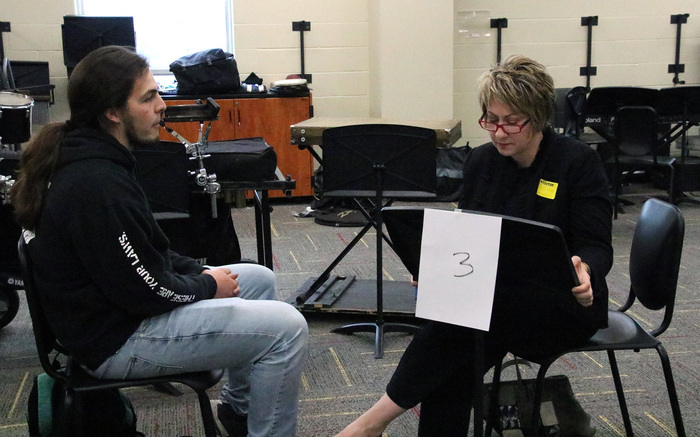 Students were chosen based on four different areas: singing consistently on pitch, able to maintain a musical part, willing to memorize and spend time on music and exhibit self-discipline. 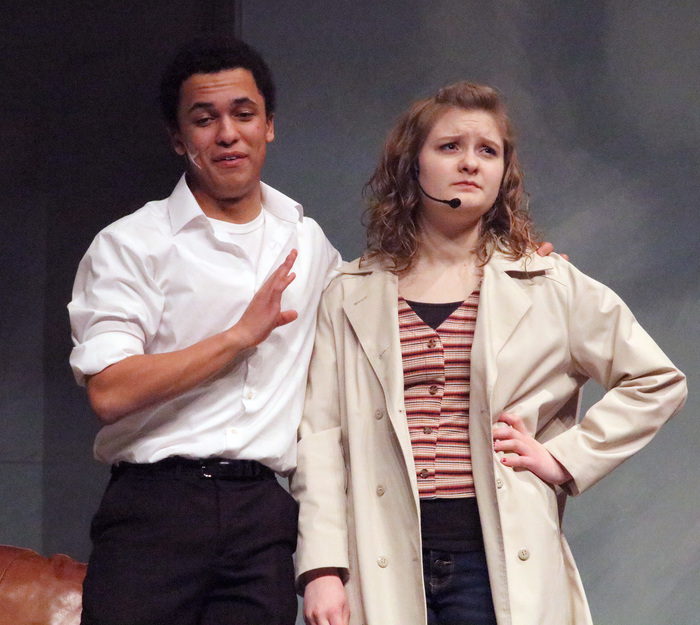 The clinician was Megan Nuss from Colorado. 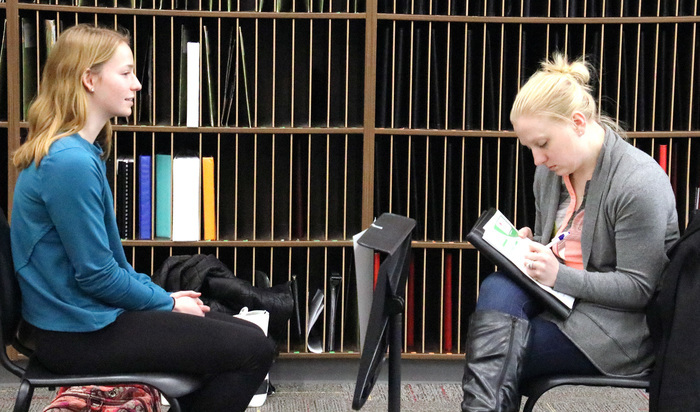 Megan is an energetic clinician for choral festivals, and has a true passion for working with young voices. 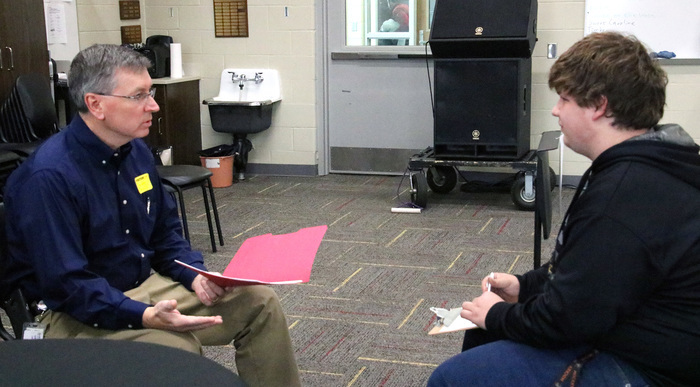 CHS school counselors will be available for incoming freshmen and their parents/guardians from 4-6 p.m. in the cafeteria on Feb. 27, 28, March 1, 4 and 5. The counselors will be on hand to discuss the registration process and answer questions. The CPS Foundation is now accepting nominations for the Operations Employee of the Year. 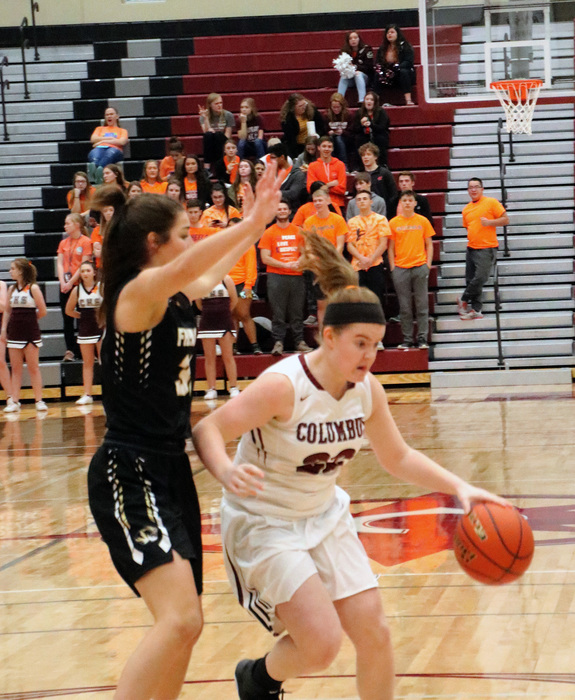 Please email andersonn@discoverers.org for a pdf version. 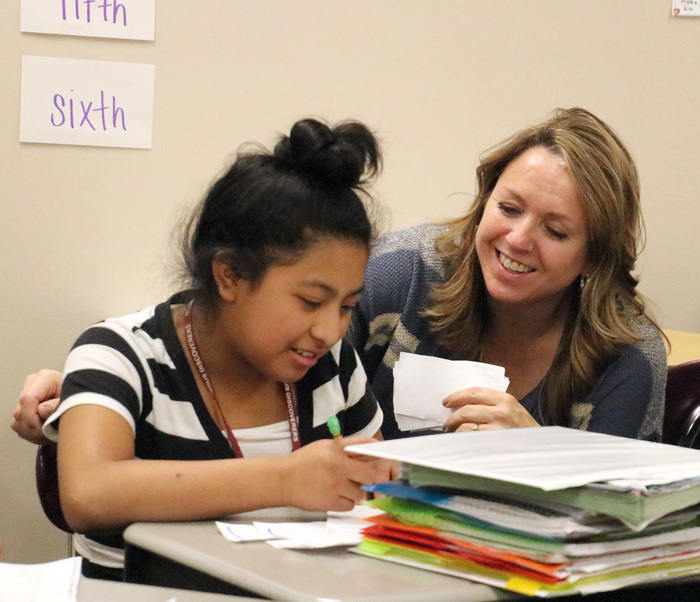 The CPS Foundation is now accepting nominations for the Educator of the Year. 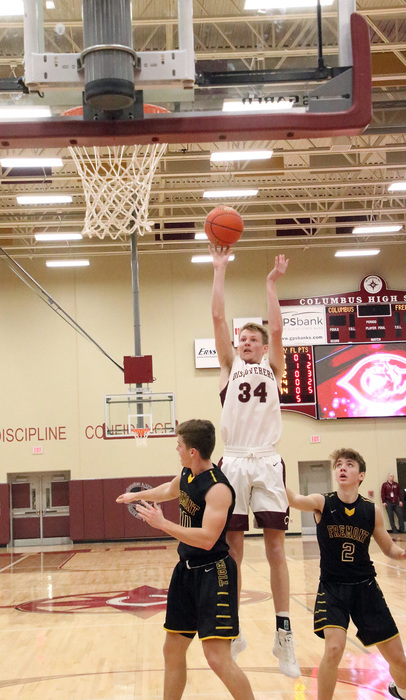 Please email andersonn@discoverers.org for a pdf version. 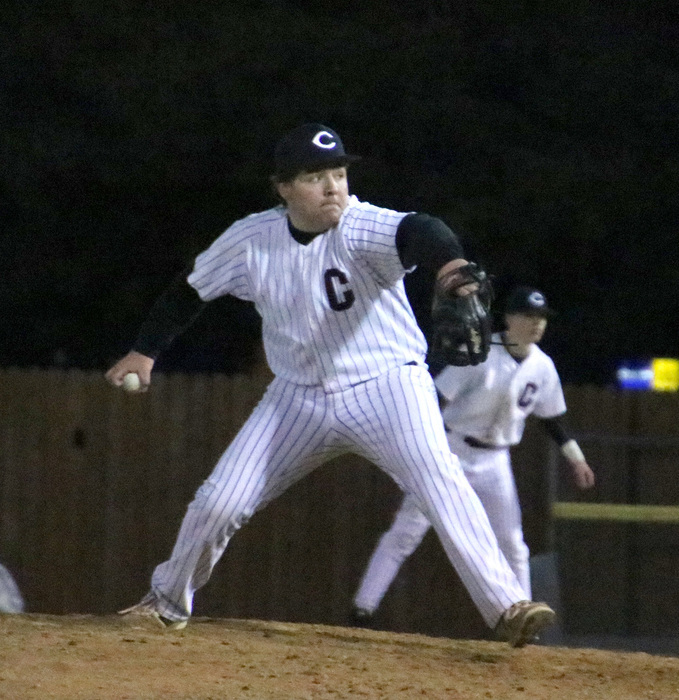 The spring sports parents meeting is scheduled for 6:30 p.m. Feb. 25 in the CHS Concert Hall. All parents who have students participating in track & field, baseball, boys' golf, soccer and girls' tennis are encouraged to attend. 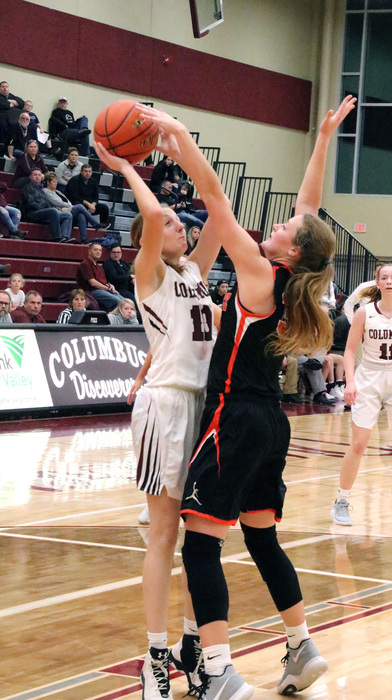 Activities Director Dave Hiebner will have a short address, followed by comments from the CHS Booster Club and Athletic Trainer Rob Marshall. 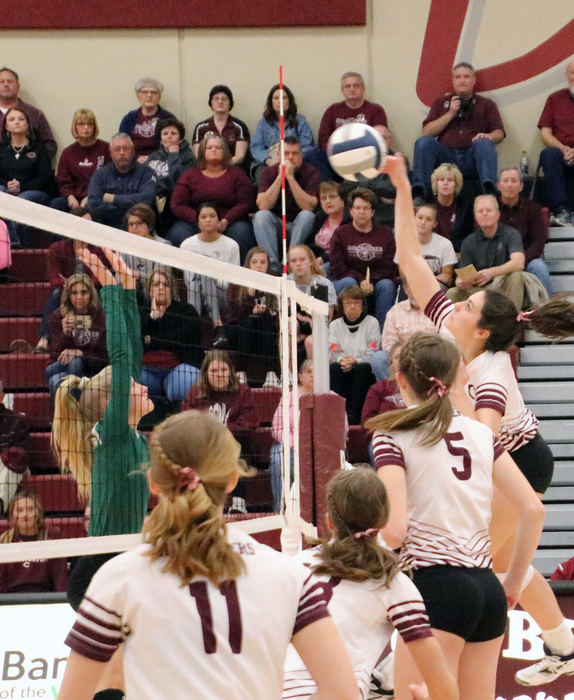 Parents will then go to meetings with their sport-specific coaches. Attendance is not mandatory but recommended, and student-athletes are welcome to attend. 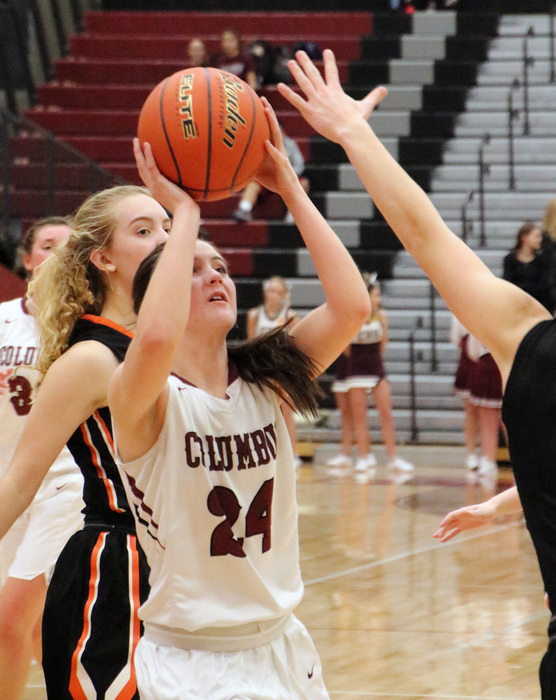 The Columbus High School spring sports parents meeting is at 6:30 p.m. Monday, Feb. 25, in the Concert Hall. All parents who have students participating in track & field, baseball, boys' golf, soccer and girls' tennis are encouraged to attend. 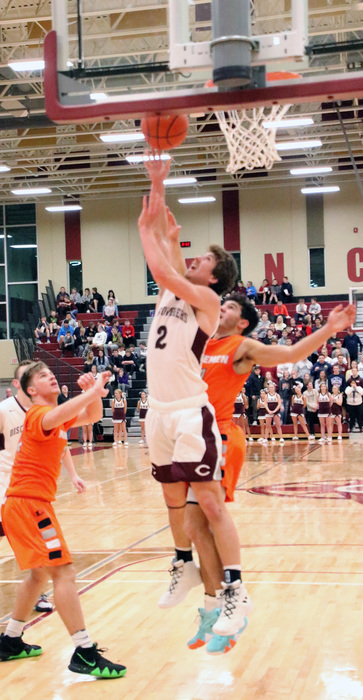 CHS Activities Director Dave Hiebner will have a short address, followed by comments from the CHS Booster Club and Athletic Trainer Rob Marshall. 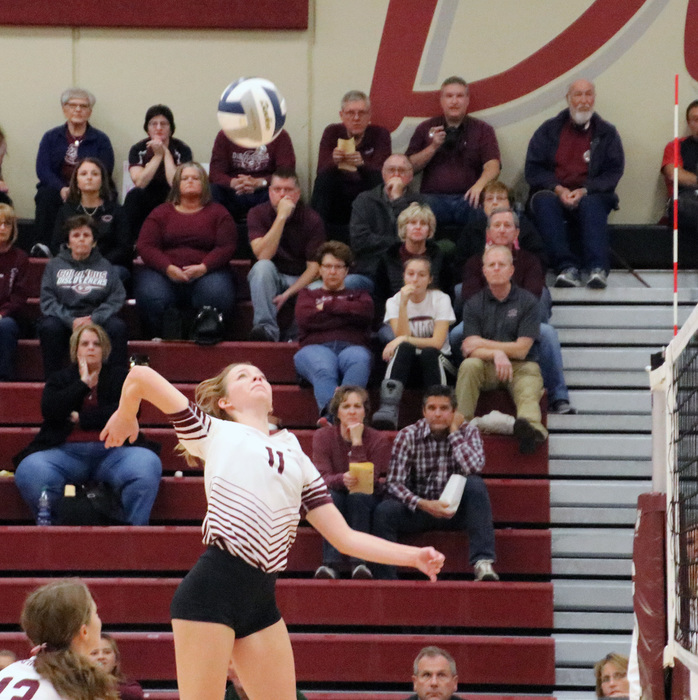 Parents will then go to meetings with their sport-specific coaches. Attendance is not mandatory, but recommended, and student-athletes are welcome to attend. 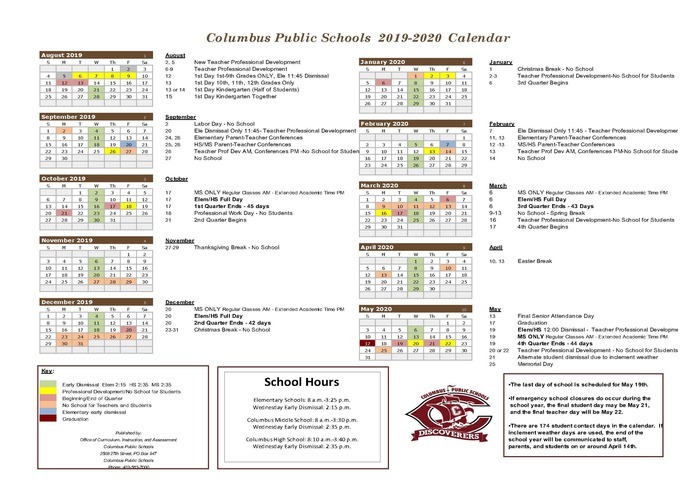 On February 20, Columbus Public Schools will not be in session due to inclement weather conditions. 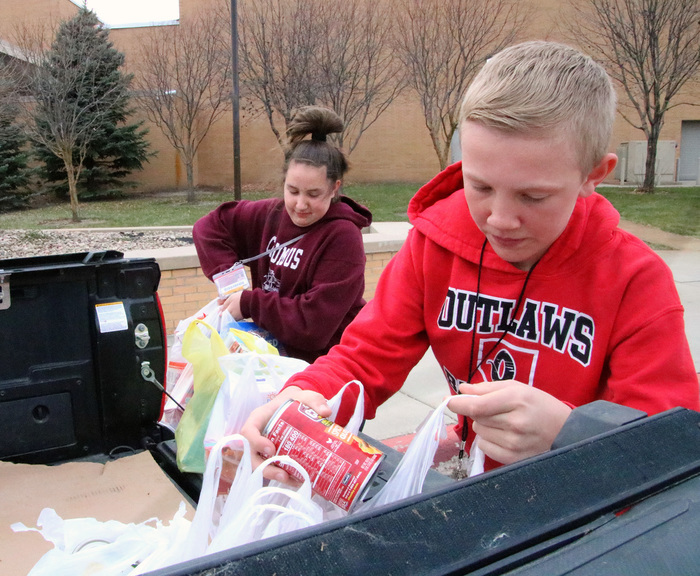 School buildings will not be open, breakfast and lunch will not be served, and there will be no After School Program or extracurricular practices or rehearsals. Please go to the Columbus Public Schools District Facebook page for weather-related school closing updates. Spanish-language version: El 20 de febrero, las Escuelas Públicas de Columbus no van a tener clases debido al mal clima. Las escuelas van a estar cerradas, no vamos a dar desayuno ni comida, y no tendremos el Programa Después de Clase ni ensayos o prácticas extracurriculares. Por favor vaya a la página de Facebook del Distrito de las Escuelas Públicas de Columbus para ver informes sobre el cierre de clases debido al clima. Preschool registration will be take place until March 8th. 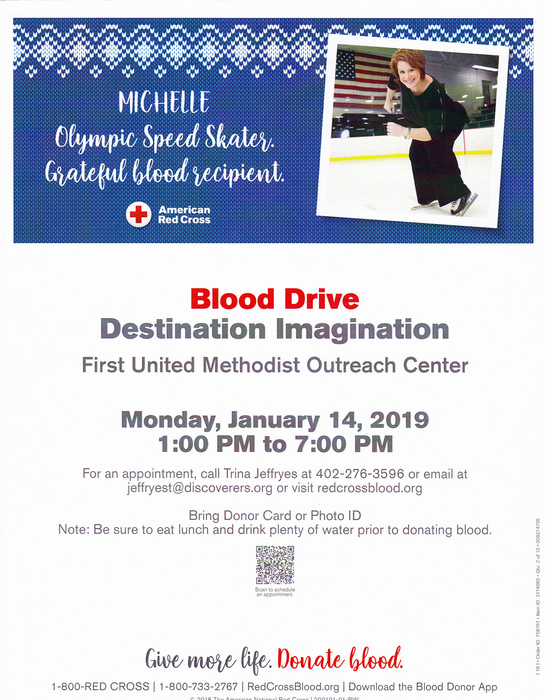 To schedule an appointment, please contact Registrar Tami Altstadt at 402-563-7000 Ext. 12753. This is only for children who are 4 years old by July 31, 2019. To register for a possible preschool placement, you will need your child’s original birth certificate, your child’s immunization records, and proof of residency within the district. 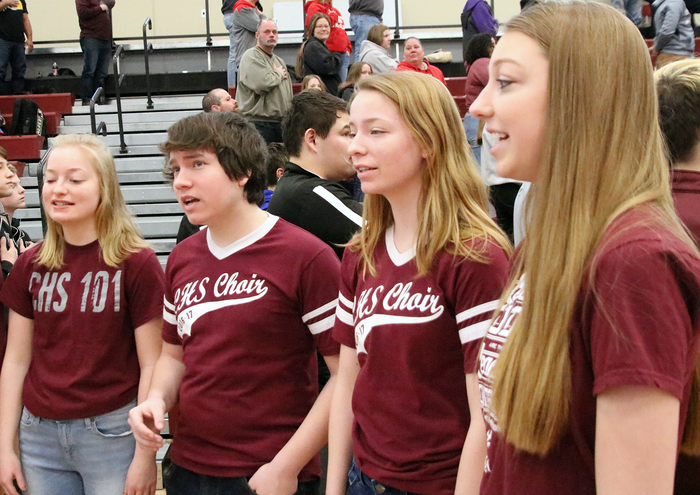 The New World Singers sang the Star Spangled Banner at A-3 District Wrestling. Nice Job! 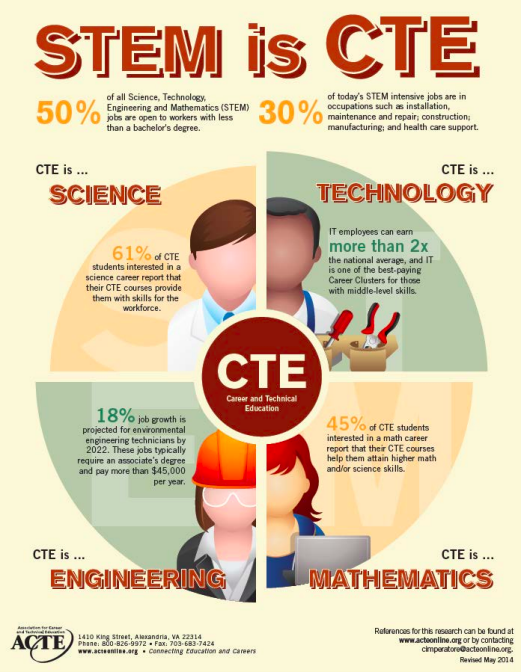 February is CTE Month. 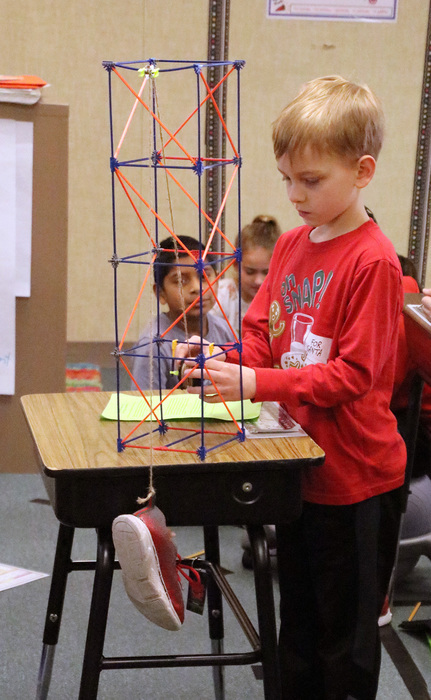 STEM is at Work in CPS! 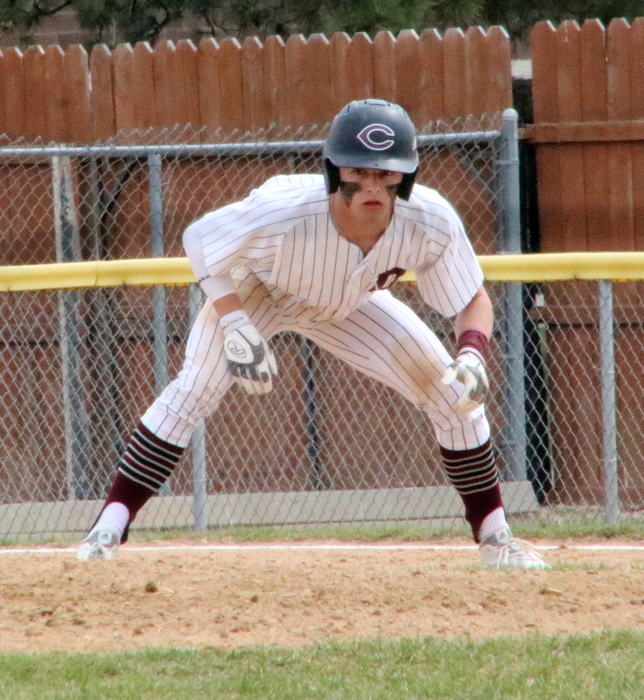 There is not a late start at CPS today. Classes run on a normal schedule. A phone message went out from Central Community College and not CPS. 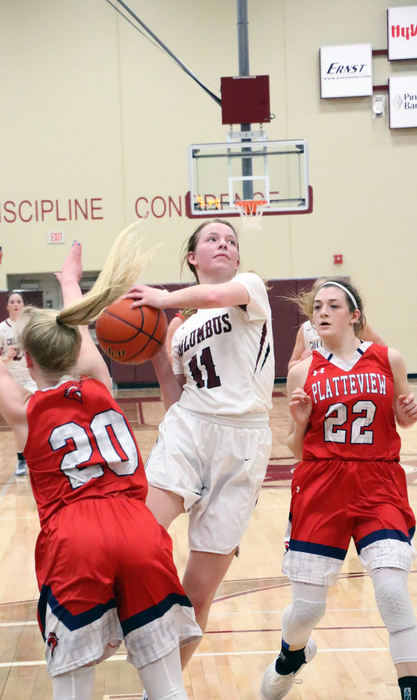 The Discoverers Girls' Basketball Team fell to Platteview 44-31. At approximately 8:35 a.m. CHS experience a fire alarm due to a burst sprinkler head. 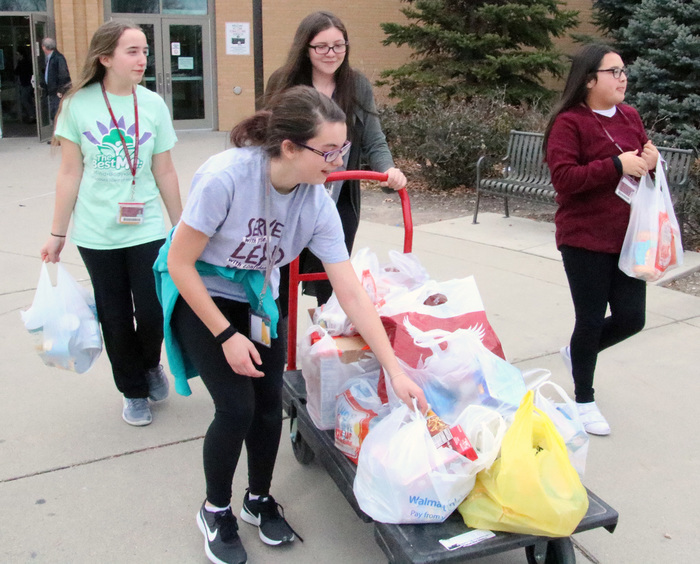 Students and staff evacuated the building at that time. Water was deposited in two classrooms. Classes are back in session. 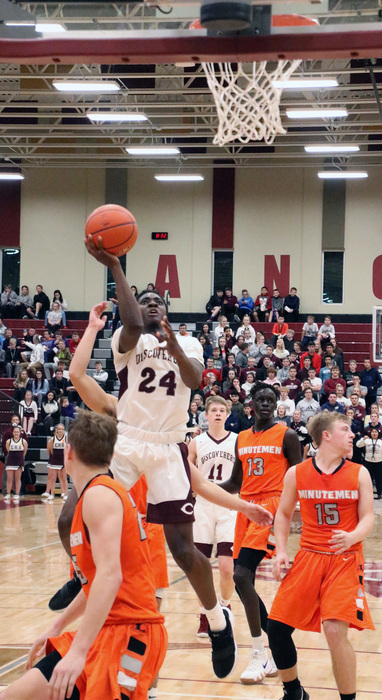 The CHS Boys' Basketball team fell to Omaha Gross 52-39. 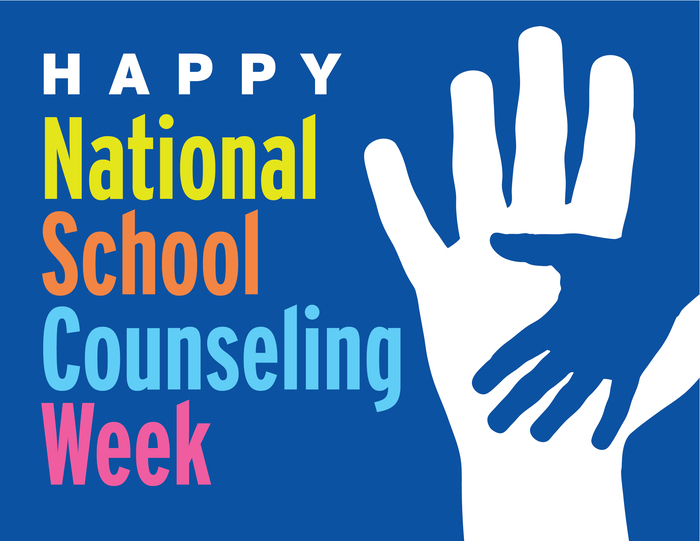 This week, Feb. 4-8, is National School Counseling week. Let your school counselors know how much you appreciate them! 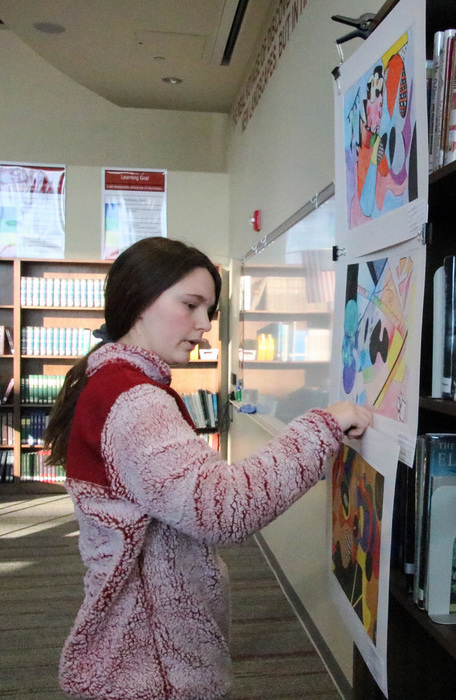 CHS Incoming Freshmen Registration Night will be Tuesday, Feb. 26, from 6:30-8:30 p.m. at the Concert Hall. Please enter CHS through the south doors. Parents/ guardians and students are invited to attend. At the meeting, the registration process will be reviewed, and there will be information on school sponsored activities. Columbus Public Schools will be having school tomorrow. It will be cold, but I our buildings will be warm and ready for students with breakfast and lunch. As always, parents it is your choice as to what time your student gets to school. Remember to dress appropriately for the cold weather. Just think of the 50 degrees we will be having on Saturday to stay warm. 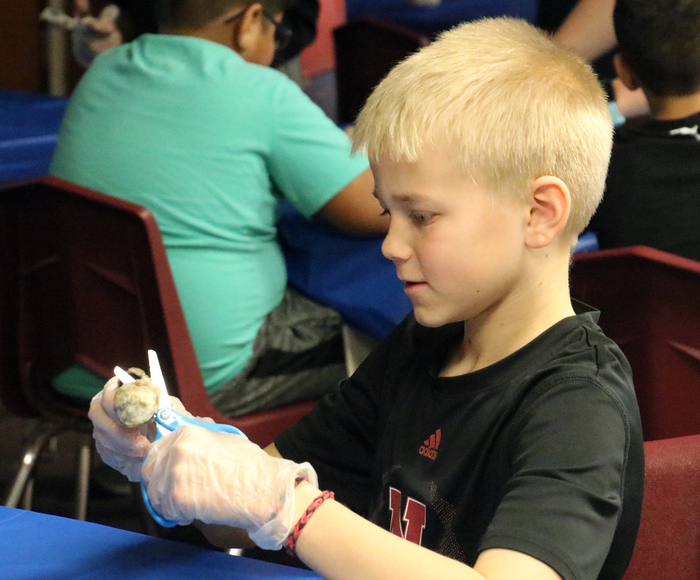 Centennial fourth graders dissected a cow’s eye. 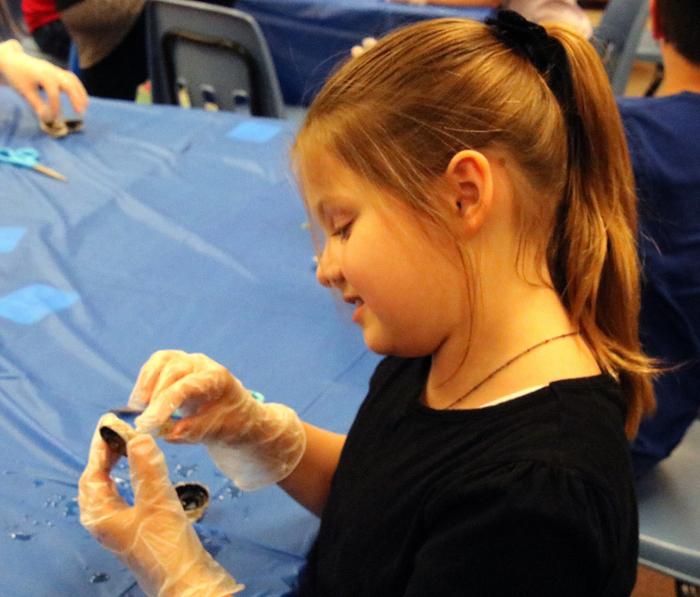 The students had to find the various parts of the eye. 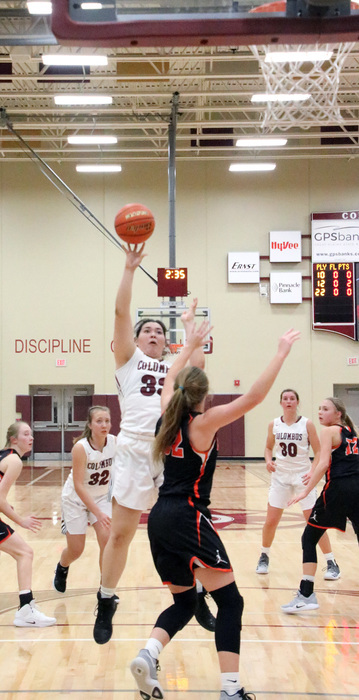 All CHS athletes are required to have physicals and athletic forms completed before spring practices begin on Feb. 25. 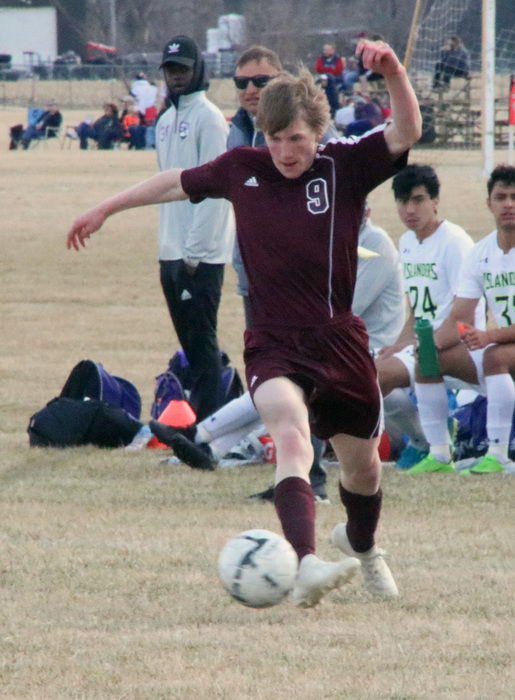 Forms should be turned in to the activities desk at the CHS office in order to be eligible for practice. Columbus Public Schools will be open today. Our staff have been out driving in the community. Expect ice on neighborhood roads. Please take your time getting to school this morning. As a parent please remember it is your choice as to what time your student gets to school. 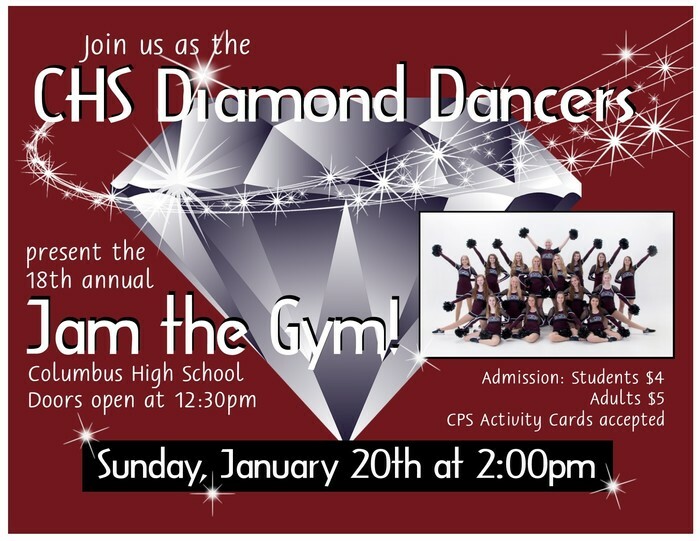 The CHS Diamond Dancers 18th annual Jam the Gym will be Sunday at 2 p.m. with doors opening at 12:30 p.m. 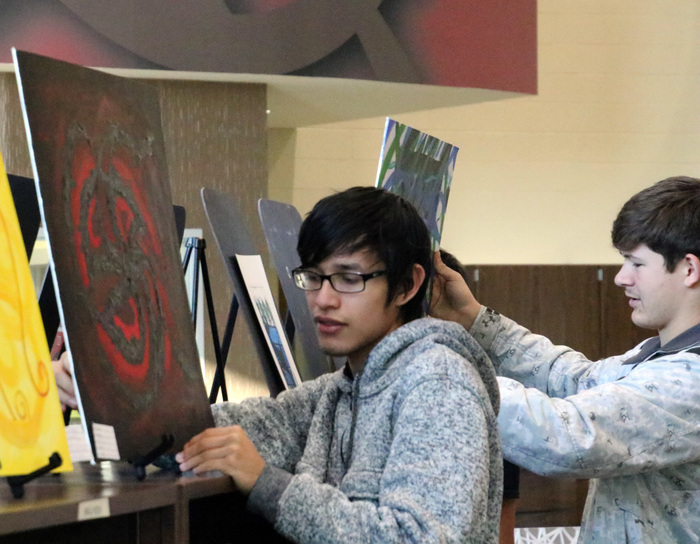 Admission is $4 for students and $5 for adults and CPS Activity cards are accepted. 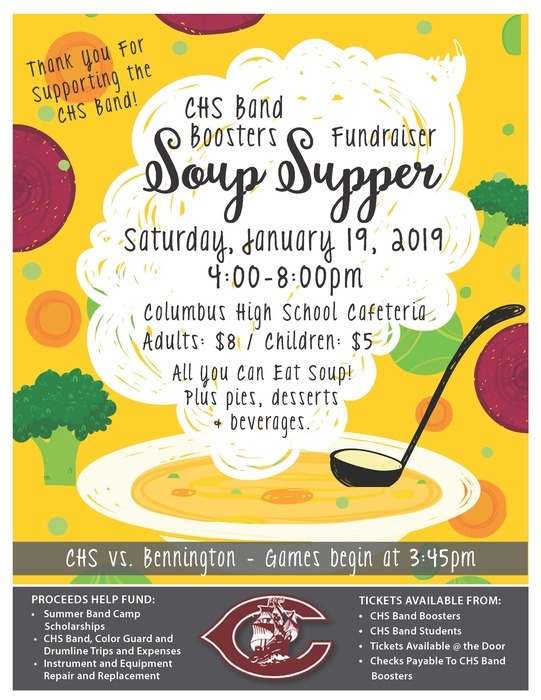 Band Booster Soup Supper will be Saturday from 4-8 p.m. at the CHS cafeteria. The cost is $8 for adults and $5 for children. The meal includes all you can eat soup, dessert and a drink. 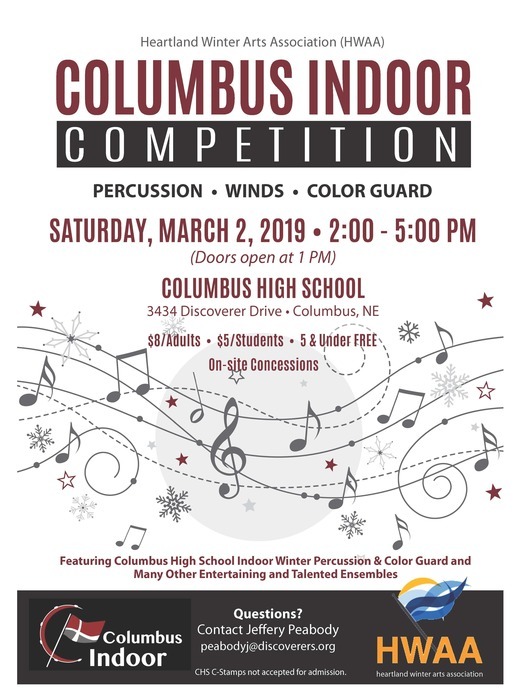 The proceeds will go to fund summer band camp scholarships; CHS band color guard and drumline trips and expenses; instrument and equipment repair and replacement. Columbus Public Schools will remain open today with students being dismissed at the regular time. 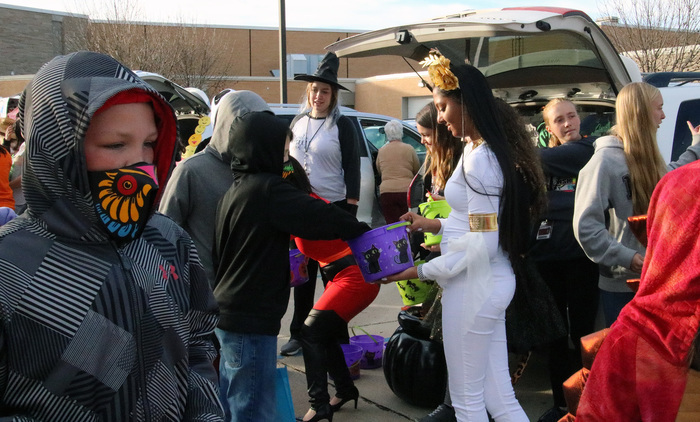 As in all inclement weather events, parents can choose to check out and pick up their children early. If another adult or sibling is picking up your child, you must please call the school to let them know who that person is. 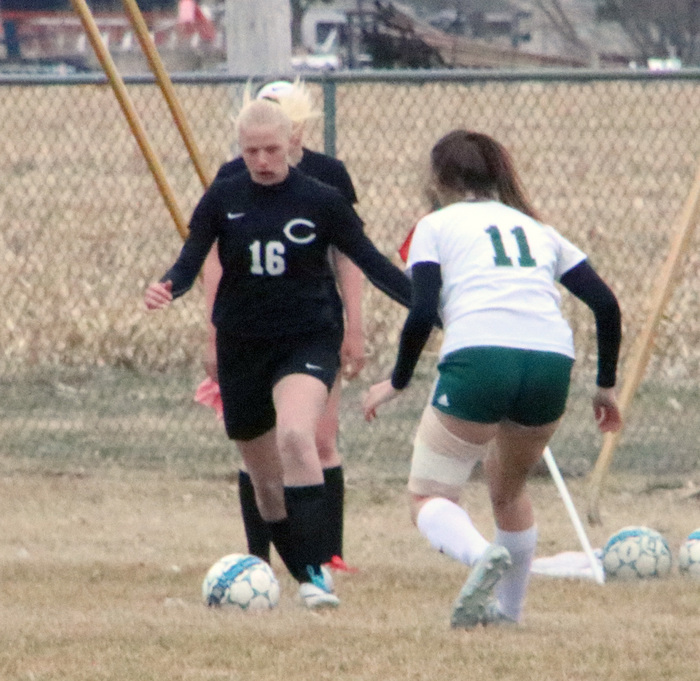 CPS extends their condolences to the Welch family on the death of their daughter and CMS student, Peiton Welch. The crisis team will be available during the visitation and funeral. 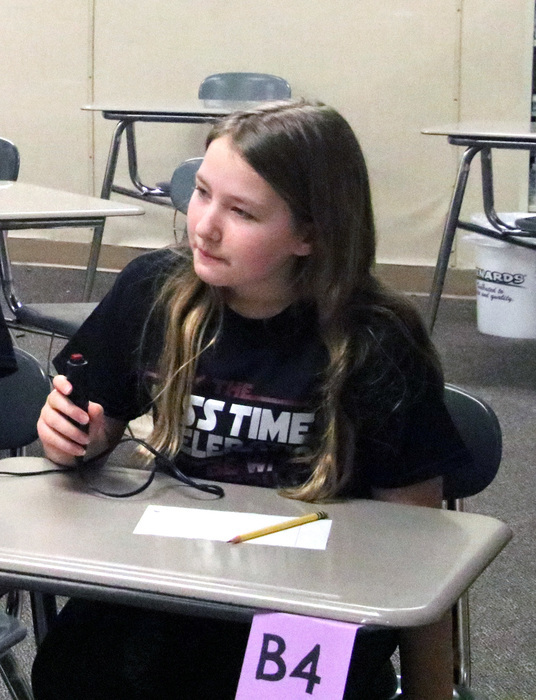 In addition, students may talk to their school counselor at anytime during the school day. 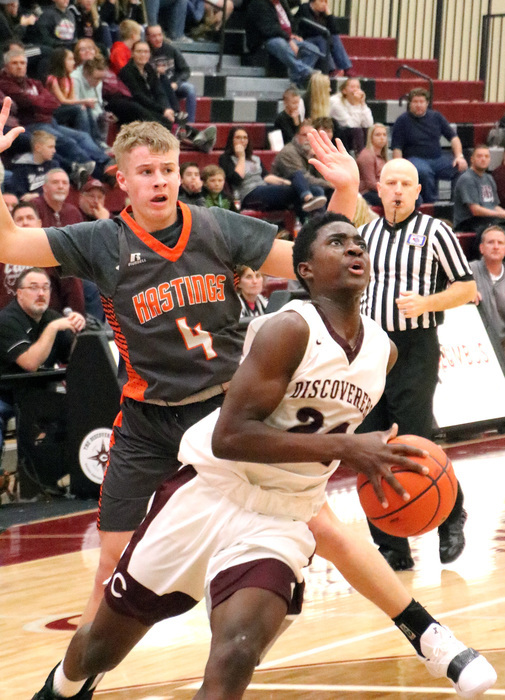 The Discoverers lost a close one to Lexington 52-47. 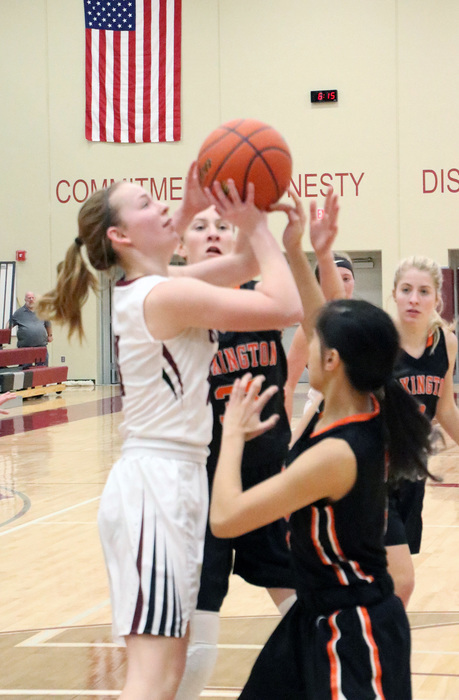 The Girls' Basketball Team defeated Lexington 47-35. 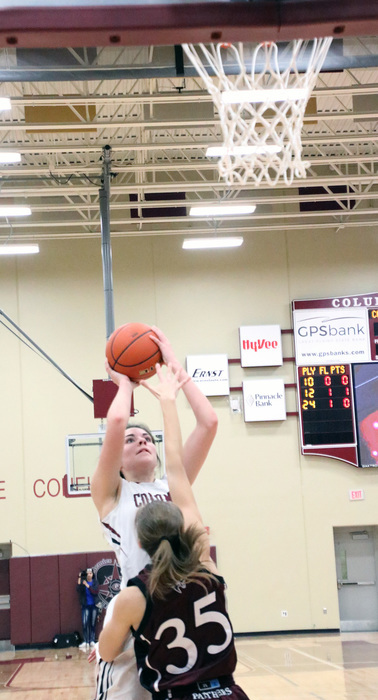 Nice Job Discoverers! 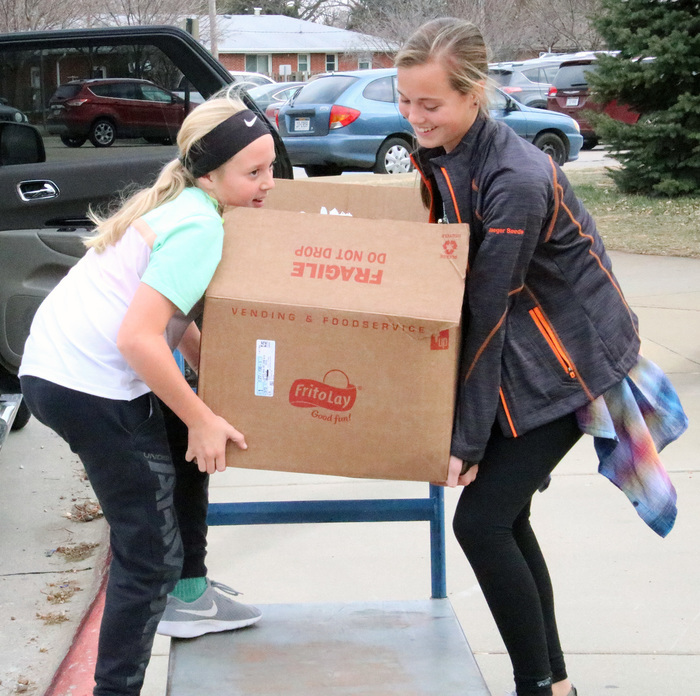 The CPS Destination Imagination program will host a blood drive through the Red Cross. 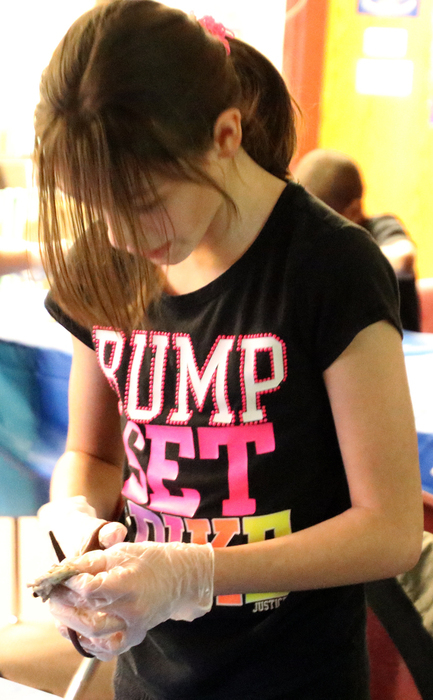 The CPS DI program will receive $10 per unit of blood donated. If you are interested in making a donation, please sign up at https://www.signupgenius.com/go/60B084AA8A92AA1FD0-diblood. 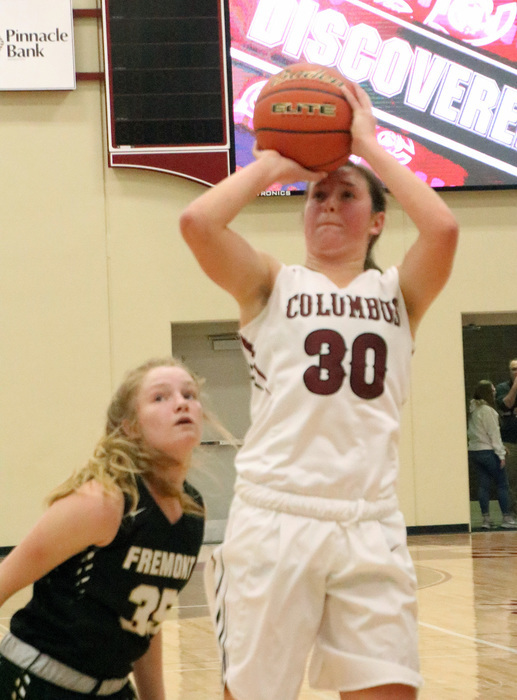 The Discoverers fell to the Fremont Tigers 59-34. 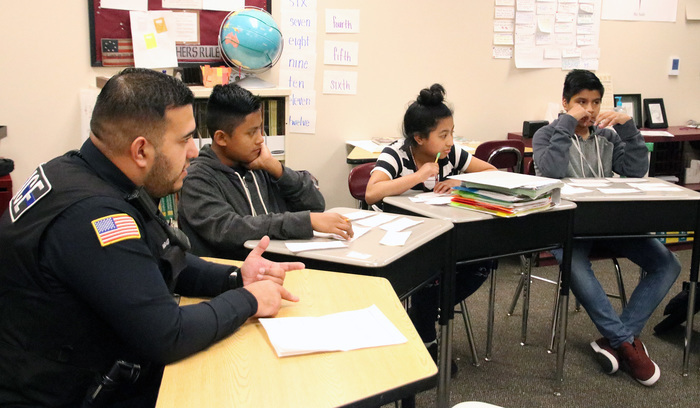 The Columbus Public Schools Crisis Team will be available for staff, students, and anyone needing support from 10 a.m.-noon today and 1-3 p.m. on Sunday at the CHS IMC. 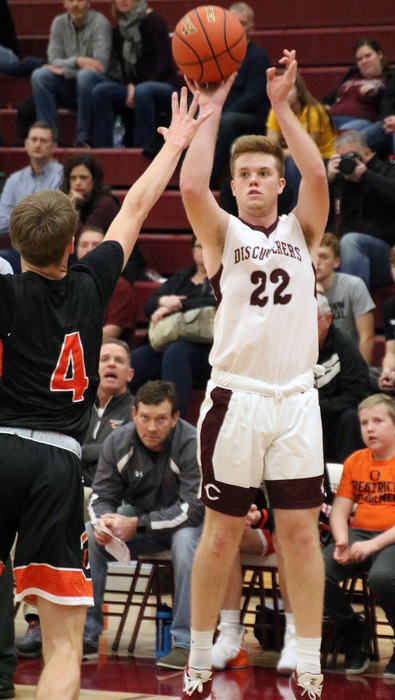 It is with great sadness that we report that Columbus High School Sophomore, Trevor Luckey passed away peacefully at Children's Hospital. 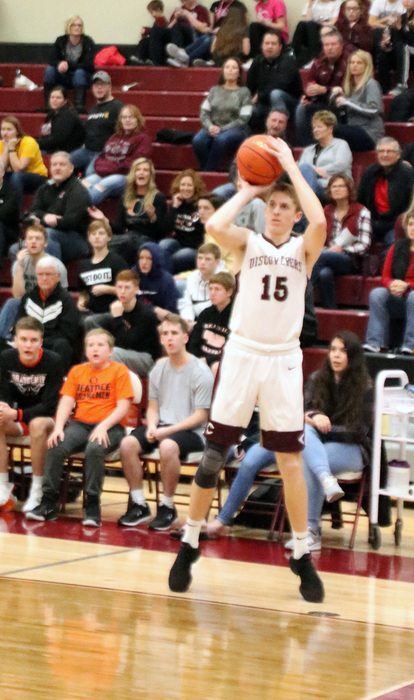 Please keep the Luckey family in your thoughts and prayers during this difficult time. 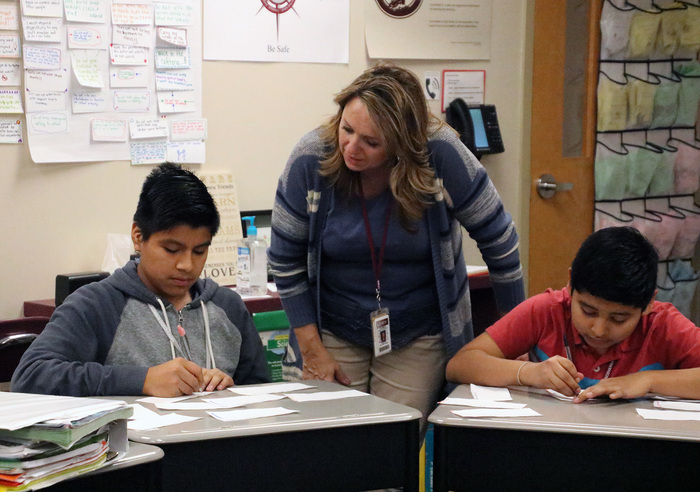 The Columbus Public Schools Crisis Team will be available for staff students, and anyone needing support until 3 p.m. today, 10 a.m.-noon on Saturday and 1-3 p.m. on Sunday at the CHS IMC. 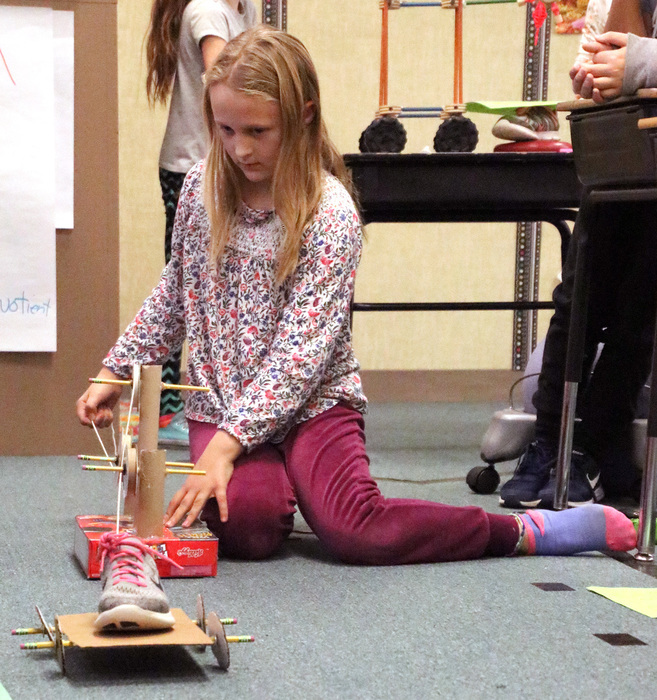 North Park fourth graders participated in a program sponsored by Drive for Five to encourage students to start thinking ahead for their careers. 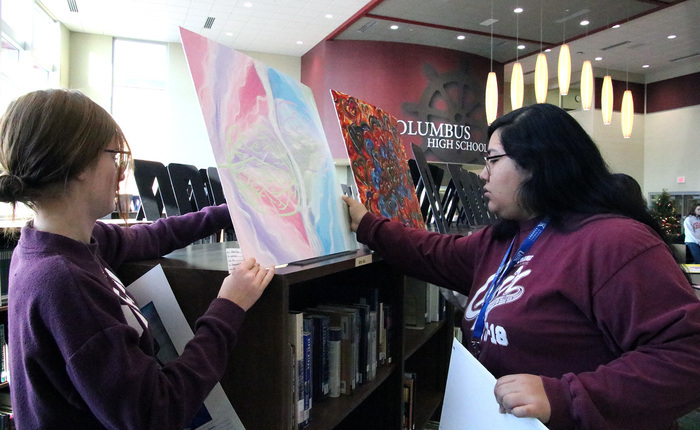 The students had the opportunity to explore the availability of the different career clusters in Columbus and put together a vision board of their future. 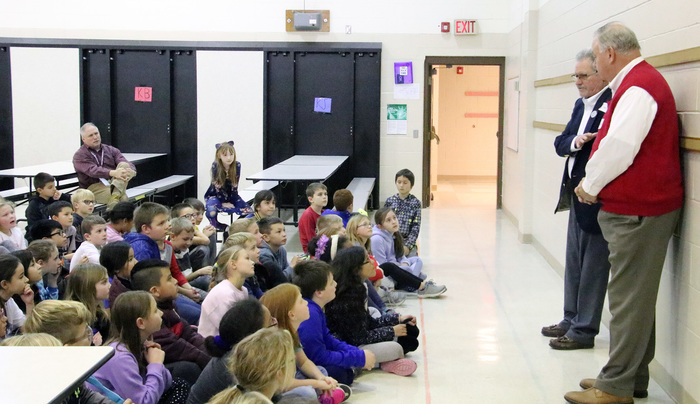 Columbus Mayor Jim Bulkley and City Councilman Rich Jablonski talked to Lost Creek third graders about city government. 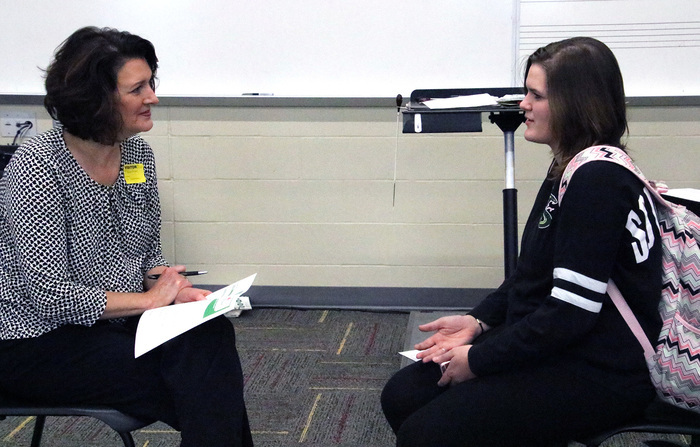 CHS students had the opportunity to do practice interviews with several local businesses. 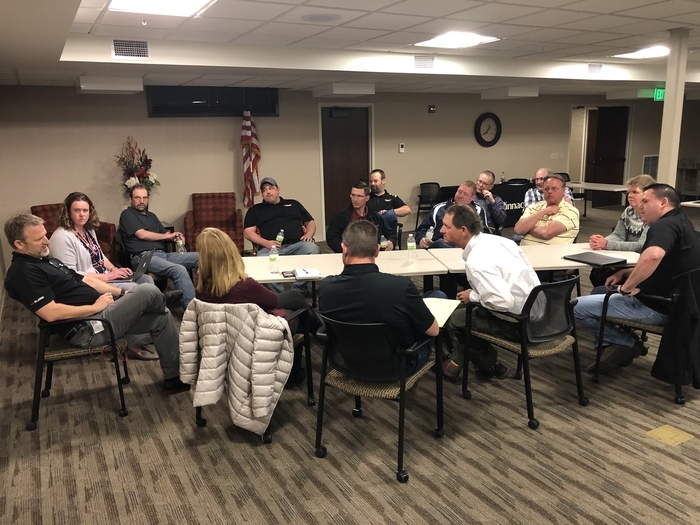 Thank you Lauren Hogue from Pillen Family Farms, Greg Jarecki from BD Medical Systems, Sharyle Sands and Kara Asmus from the Columbus Area Chamber of Commerce for giving up your time to make this happen. 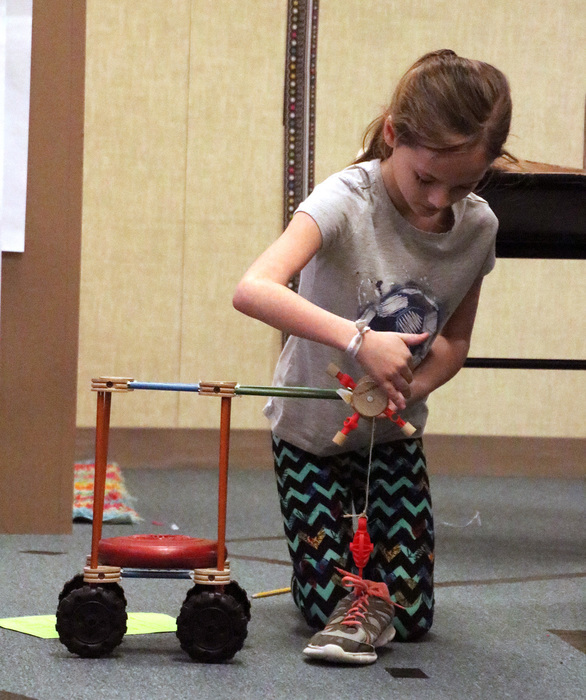 Lost Creek fourth graders demonstrated their simple or complex machines. 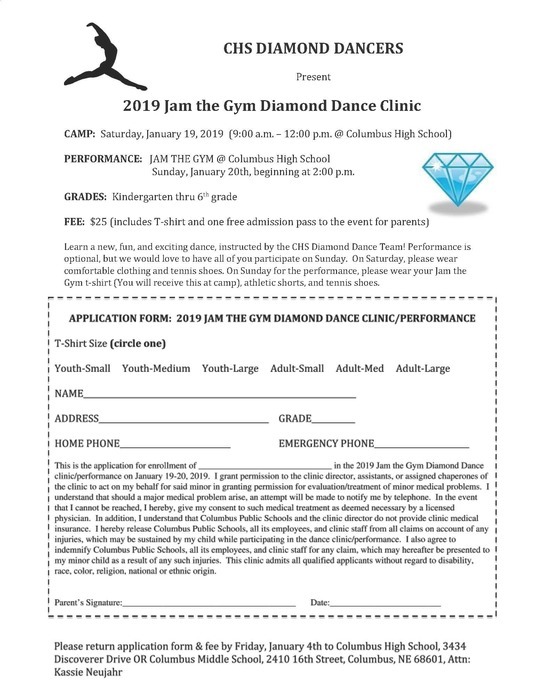 2019 Jam the Gym Diamond Dance Camp is from 9 a.m.-noon January 19 at CHS. 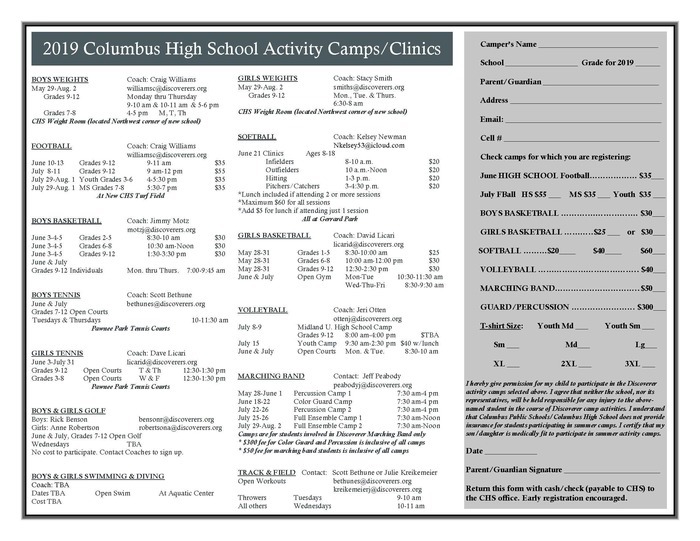 The clinic is open to K-6th students. 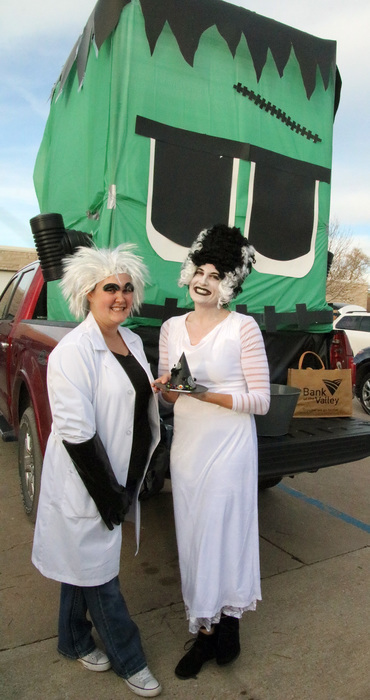 The performance is Jan. 20 beginning at 2 p.m. Registrations are due by Jan. 4. 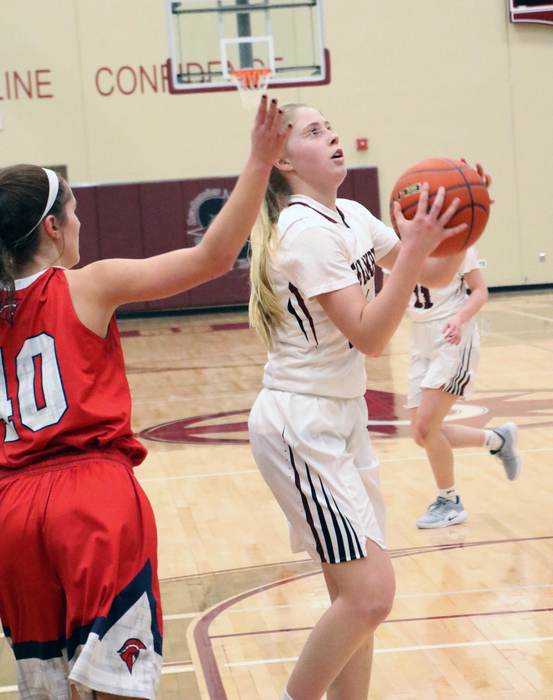 For more information, contact Kassie Neujahr at neujahrk@discoverers.org. Congratulations to the Columbus Public Schools Skilled and Technical Science programs for receiving the Program of Excellence Award. 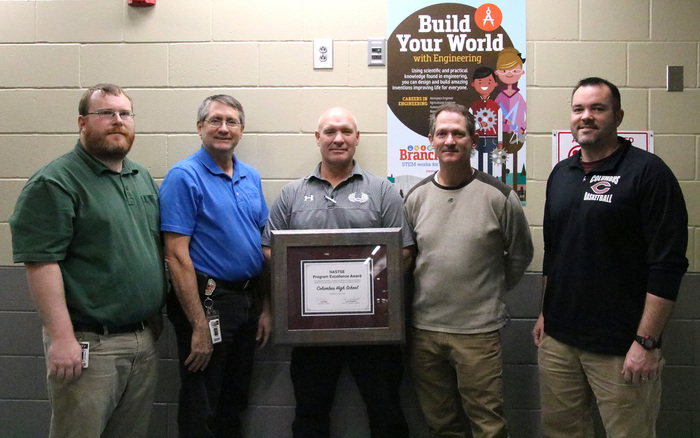 This is one of the highest honors given to Skilled and Technical Sciences programs and departments in Nebraska and is presented in recognition of outstanding contributions to the profession and students. The Program of Excellence Award provides public recognition on a local and state level and is presented at the Annual NCE/NASTSE Conference. 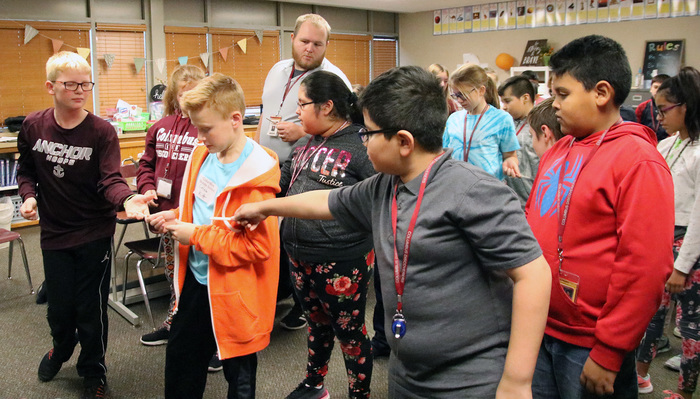 In addition, if the recipients meet the criteria to be forwarded to the International Technology & Engineering Educators Association (ITEEA), they also receive recognition on a national and international level. They are also formally presented with an engraved plaque and other recognition at ITEEA's Annual Conference. 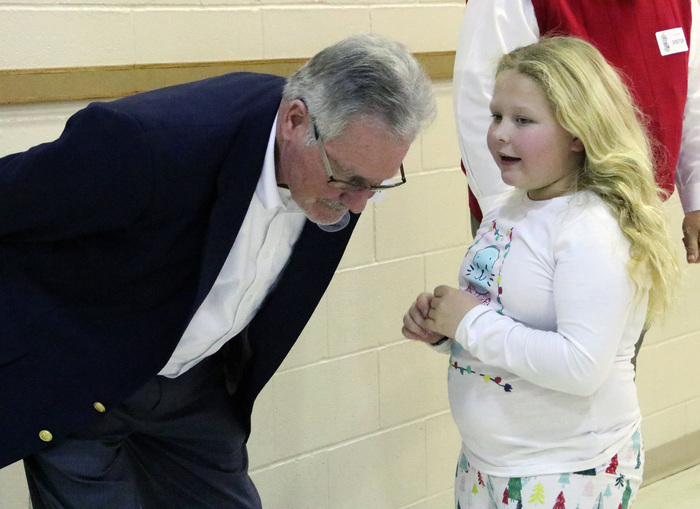 A special thank you to Tim Pospisil for his dedicated service to the Columbus Public Schools Board of Education and the promotion of excellence in our students and staff at CPS. 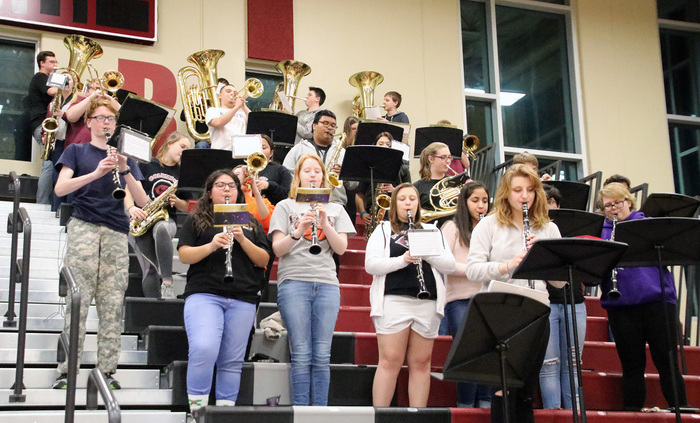 The CHS Bands performs during the basketball game against Norfolk. 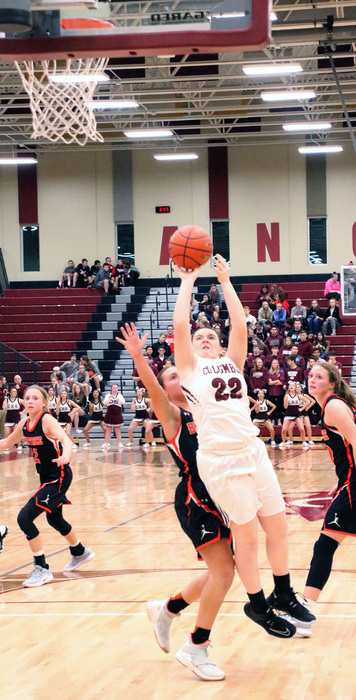 The Diamonds performed during half-time of the basketball game against Norfolk. 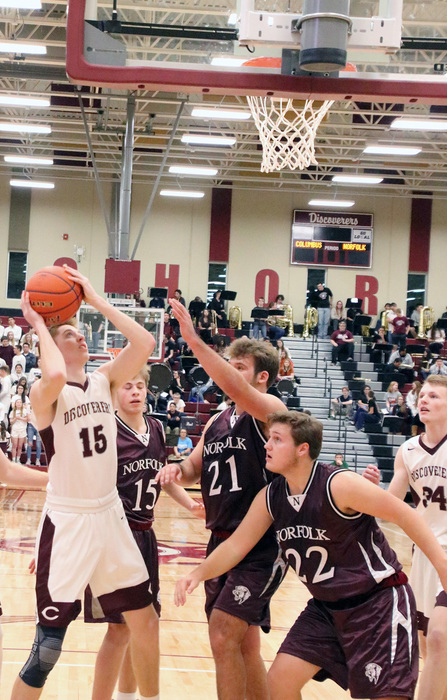 The Boys' Basketball team fell to Norfolk 56-33. 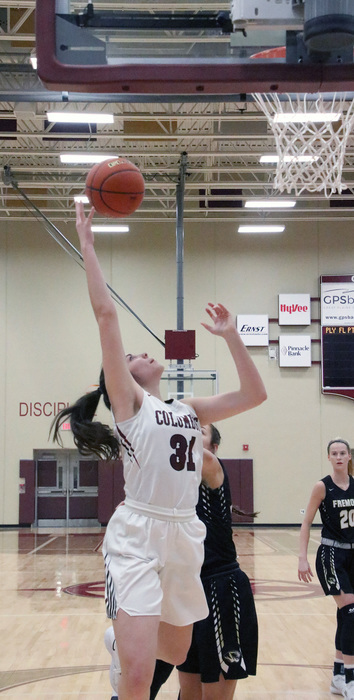 The Girls' Basketball team fell to Norfolk 33-18. There will be a presentation for all junior students, parents, and guardians regarding PreACT results. 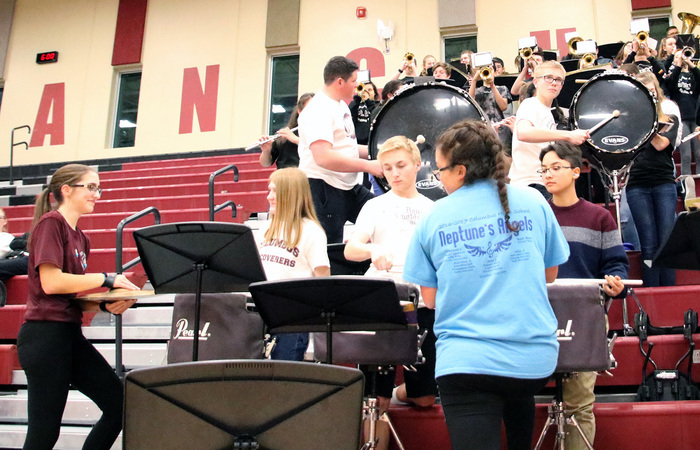 Please plan to attend one of the following sessions: Sunday, December 16, at 5 p.m. ,following the vocal concert, or Monday, December 17, at 7 p.m. During the session, parents/guardians will receive their students’ PreACT score report along with learning methods to improve scores. 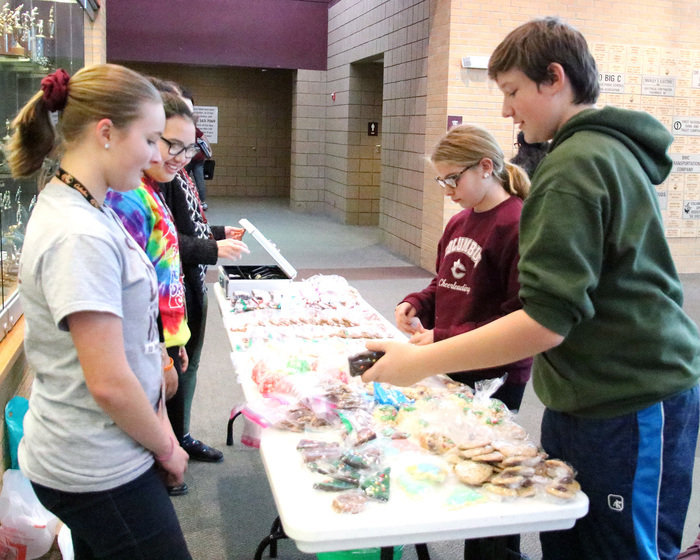 The CMS Student Council held a bake sale. 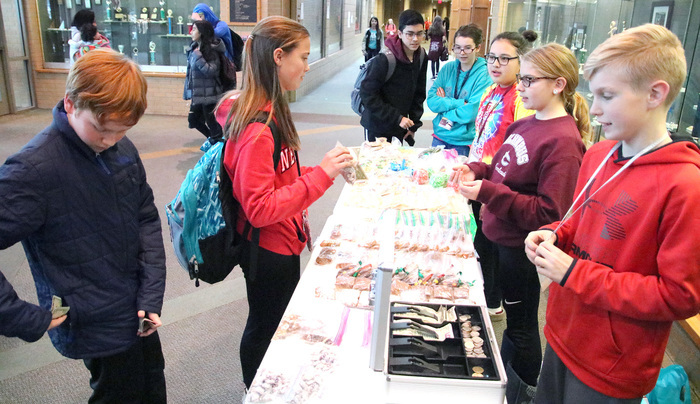 The proceeds will go to help fund school activity nights, shirts for new students and other things sponsored by the student council. 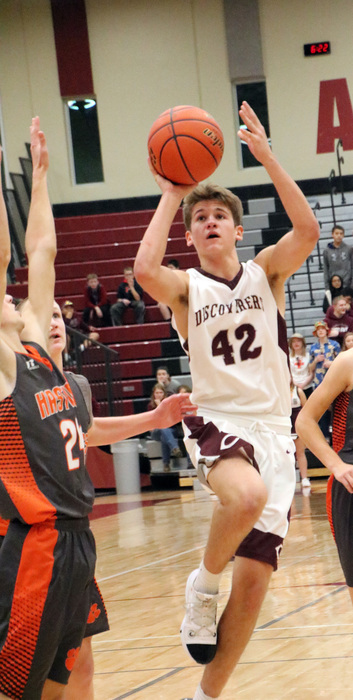 The Discoverers lost to Hastings 54-39. 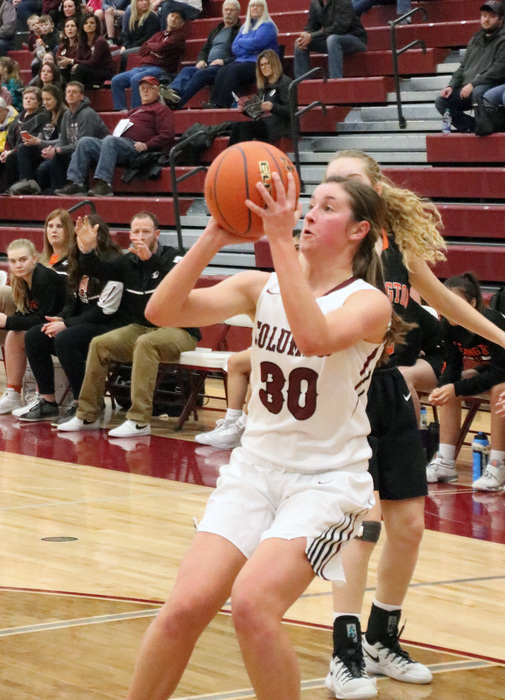 The Discoverers Girls' Basketball Team falls to Hastings 45-30. 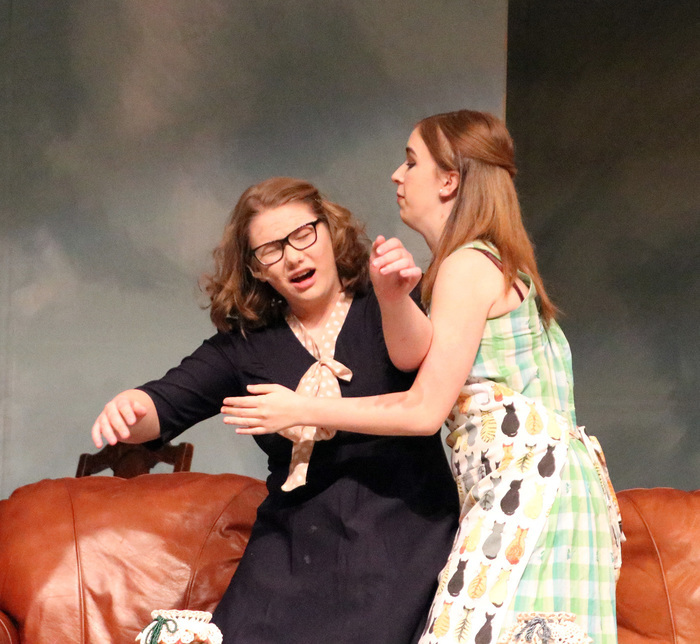 Here We Come a Waffling is tonight from 5-7 p.m. at CHS. 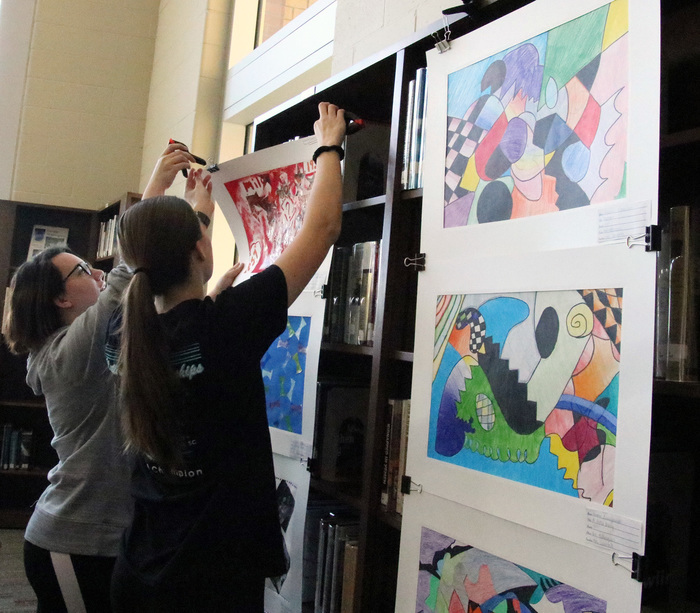 Waffles will be served and the art show will be going on from 5-7 p.m. 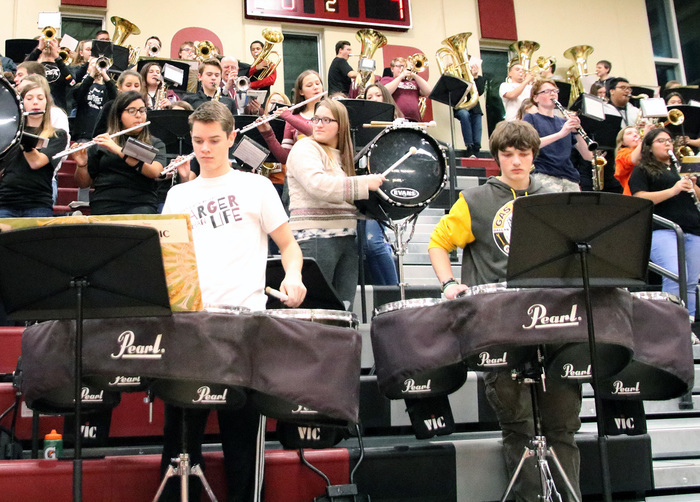 The band concert starts at 7 p.m. The CHS Art Department will also be selling anchor ornaments for $10. 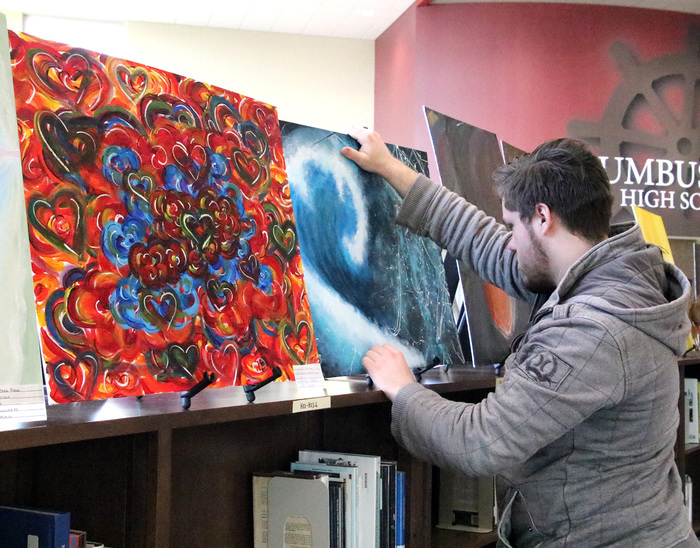 These are limited supply, and the proceeds will go towards classroom art supplies. 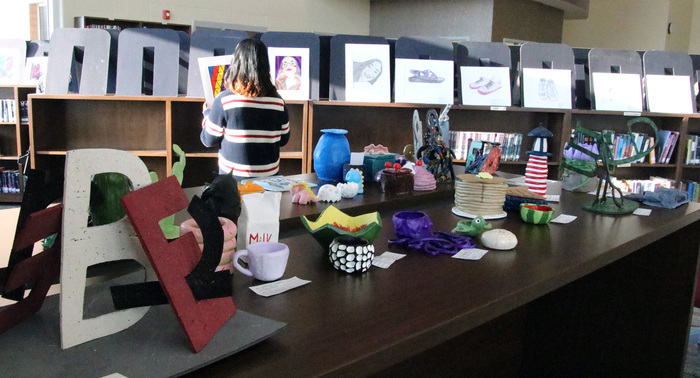 Come look at some art, eat waffles and listen to some music at the CHS Winter Fine Arts Festival, “Here We Come a Waffling,” December 10 from 5-7 p.m. 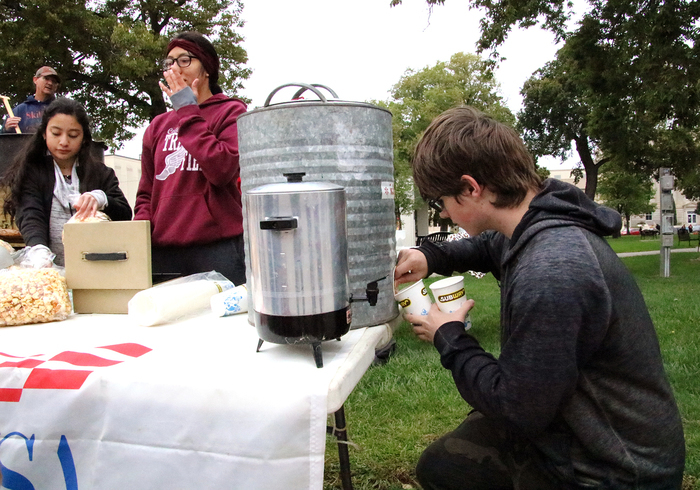 The Waffleman will be serving waffles from 5-7 p.m. in the cafeteria, and there will be musical entertainment. Suggested donation is $10 for adults, $5 for students and 5 and under free. 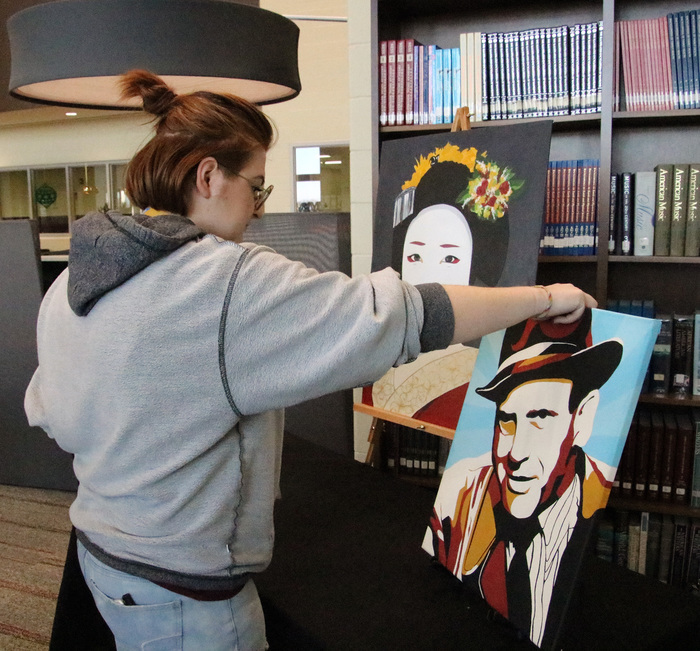 The art show will be held in the IMC during this same time. 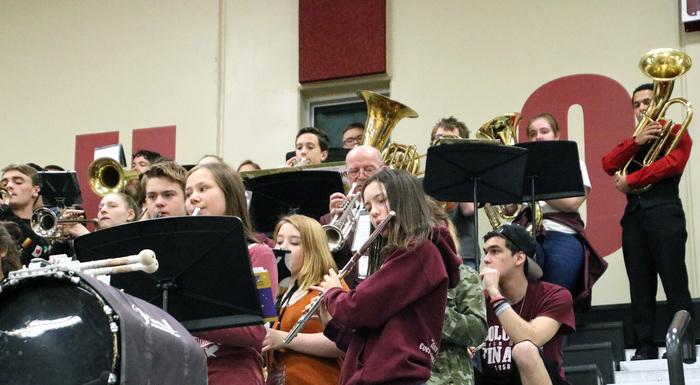 The CHS Band concert will be at 7 p.m. in the concert hall. The CHS Art Department will also be selling anchor ornaments for $10. 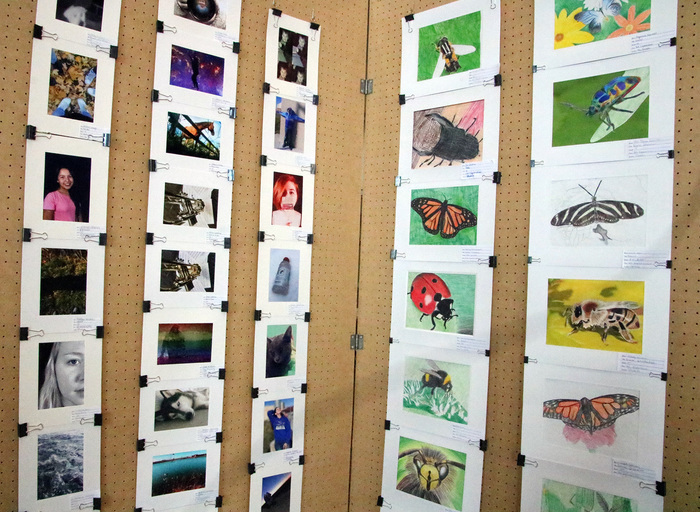 These are limited supply, and the proceeds will go towards classroom art supplies. 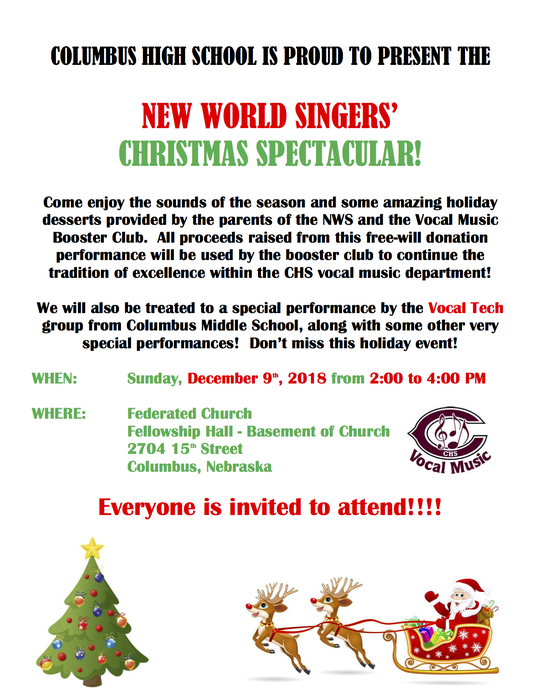 The CHS New World Singers will present their Christmas Spectacular Sunday from 2-4 p.m. at the Federated Church Fellowship Hall, which is located in the basement. All proceeds from this free will donation will be used by the Vocal Music Boosters to support the CHS Vocal music department. Vocal Tech, a group from CMS, will also be performing. 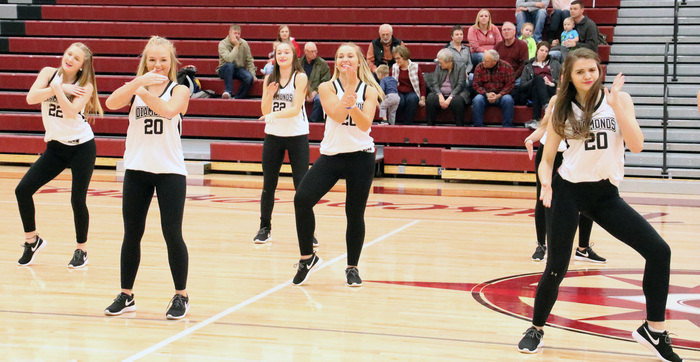 The CHS Diamond Dancers performed during halftime of the Basketball games against Beatrice. 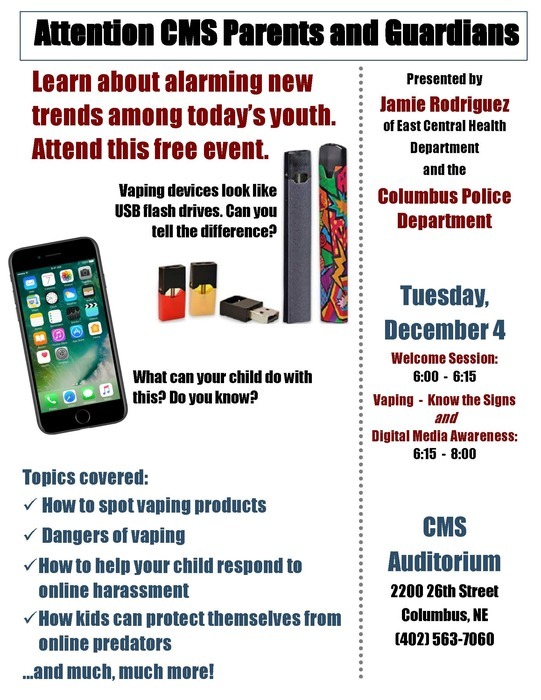 CMS Parents and Guardians are invited to learn about vaping and digital media awareness on Dec. 4 from 6-8 p.m. at the CMS Auditorium. 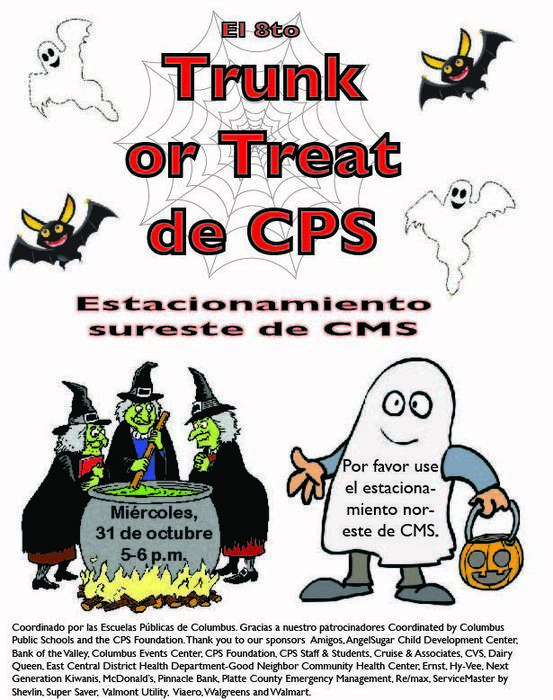 Jamie Rodriguez from East Health Department and the Columbus Police Department will be the presenters. 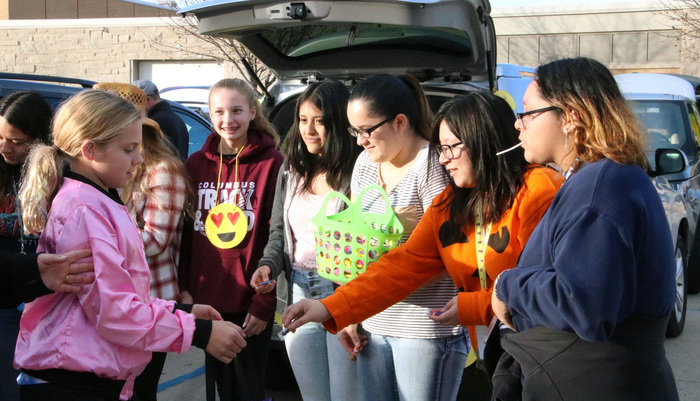 Topics covered include: how to spot vaping products; dangers of vaping; how to help your child respond to online harassment; how kids can protect themselves from online predators; and much more. 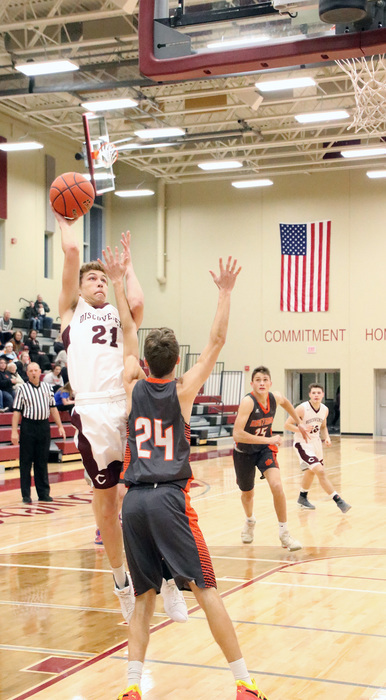 The CHS Boys' Basketball Team fell to Beatrice 51-39 in the season opener. 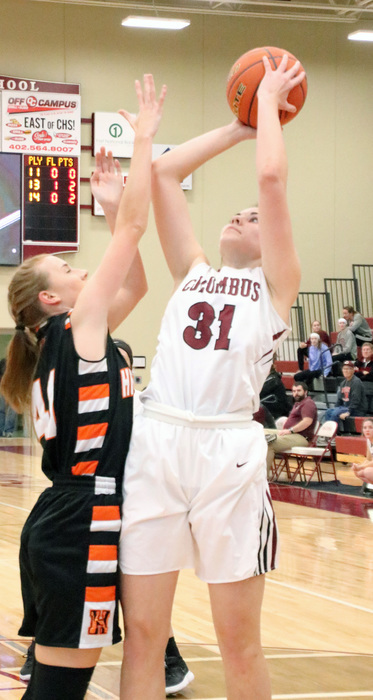 The Discoverers girls' basketball team fell to Beatrice 38-24. 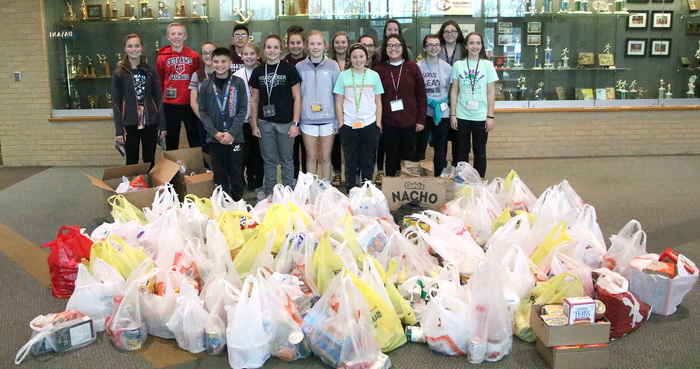 The CMS food drive collected more than 1,300 items that were donated to the Platte County Food Pantry. The seventh graders brought in the most food. 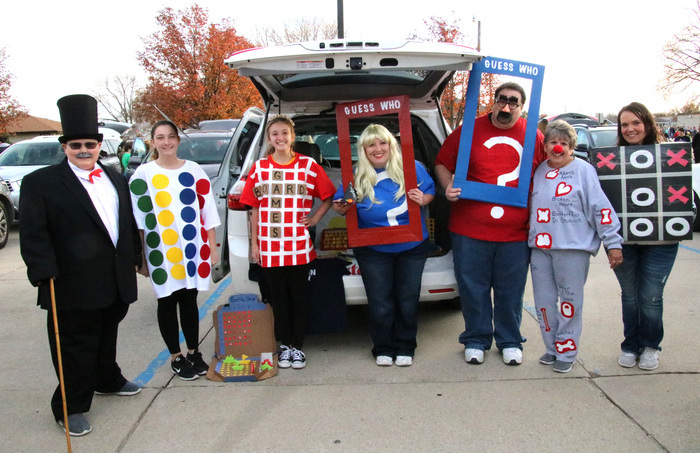 The drive was sponsored by the CMS Student Council. Way to be helpful students! Within the next hour, as part of CHS emergency preparedness planning, students and staff will take part in a building-wide evacuation. The steps we take today are to help ensure students and staff know what to do and where to go in the event that we would be ordered to evacuate our building due to an emergency. 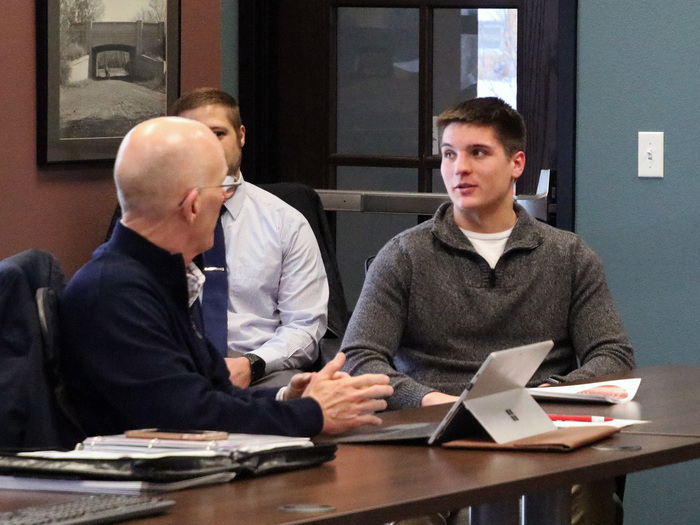 The safety of our students and staff are the foremost concern of our administration. There is no cause for alarm as today’s activities are a planned exercise. 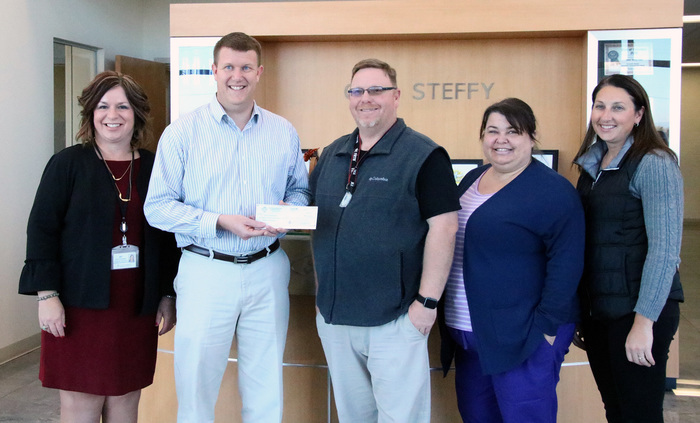 Thanks to the community and Gene Steffy’s Ford the CHS Band Boosters received a check for $4,620 for the Drive 4 UR Community event. Gene Steffy’s Ford made a donation for all the people who test drove a vehicle. 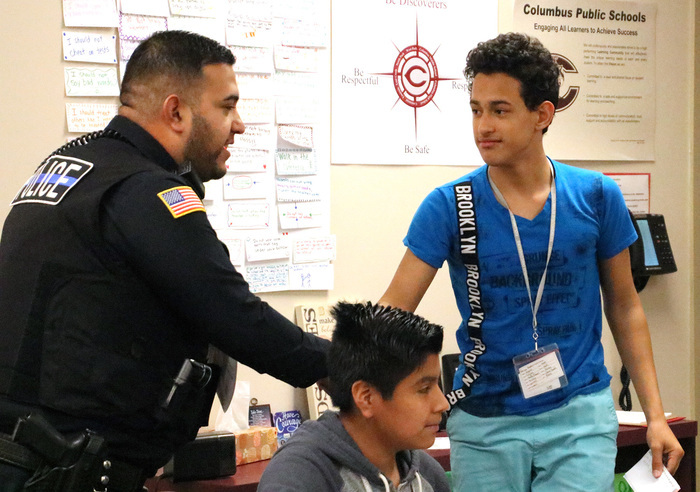 Columbus Police Officer Jorge Magdaleno answered questions from CMS students. 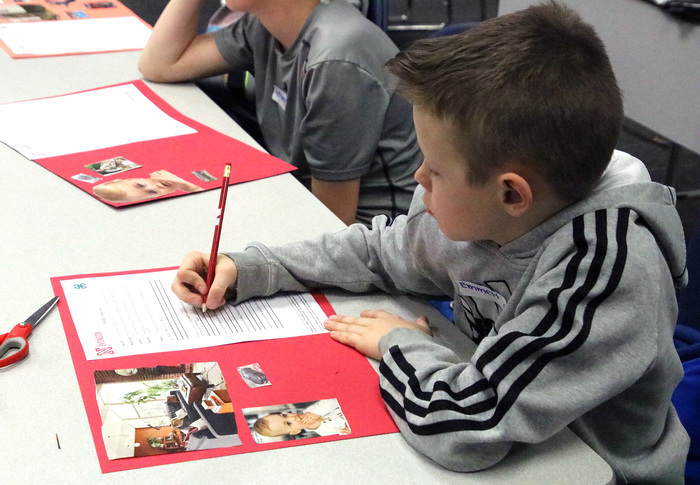 From the information they received, the students will write a short biography about Officer Magdaleno. The assignment is helping the students practice the different genres of writing. 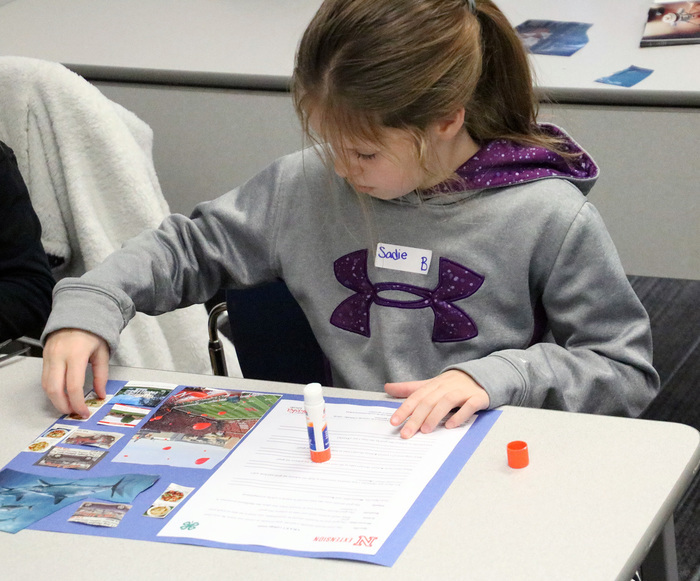 Nebraska Extension – Platte County led the 4-H School Enrichment program called Leadership Summit for all CMS 5th graders. The Leadership Summit was a hiking theme experience where students spent all day learning about themselves and how to work with others. 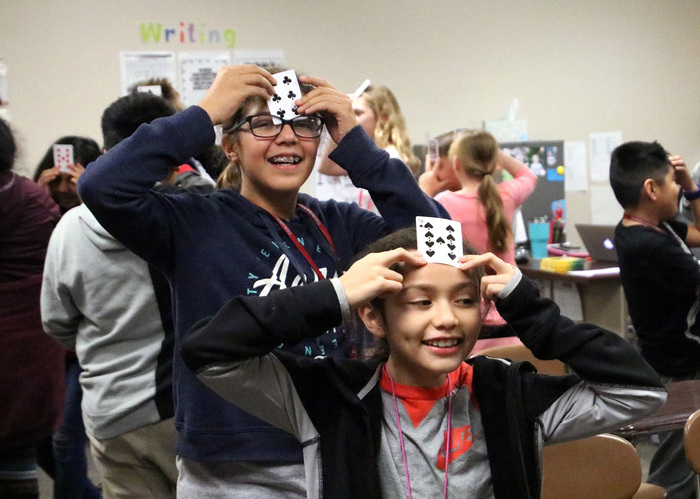 The morning featured the opportunity to learn about their own personality and how they naturally operate as a leader as well as learning how to recognize, accept and value differences among their peers. 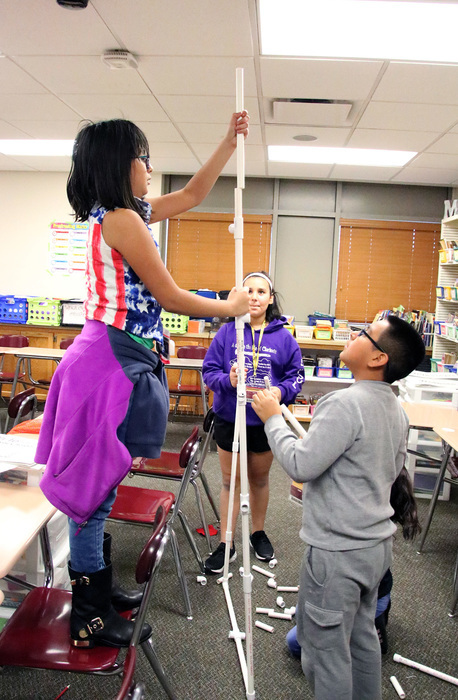 Students rotated through sessions called Scenic Lookout (how to be an effective listener), Teamwork Tightrope (teamwork through communication), Tower Building (teamwork through working together) and Cards of Value (learning how to treat everyone respectfully). 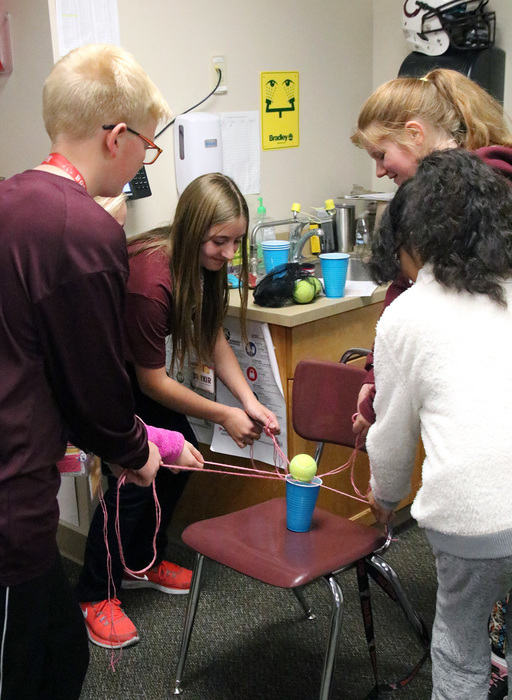 The day provided an opportunity for students to learn actively about how to be a great leader. 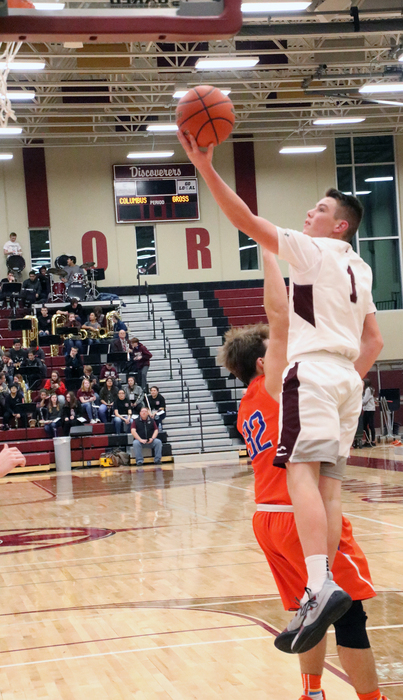 The CHS Winter Sports Parents meeting will be Nov. 8 at 6:30 p.m. in the Concert Hall. 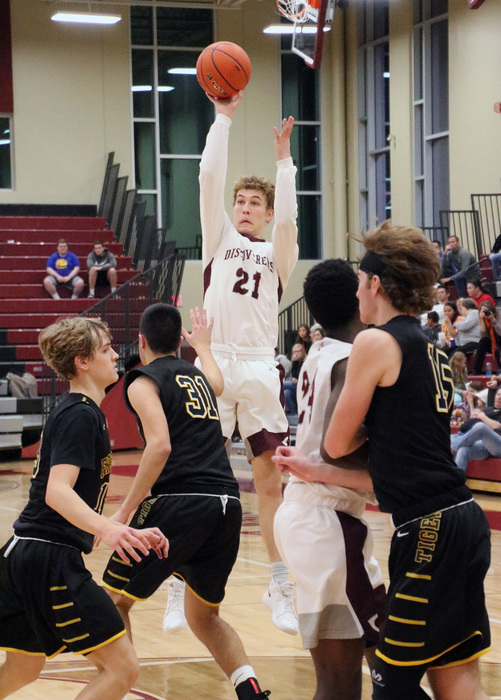 Parents who have students participating in basketball, wrestling or swimming & diving are encouraged to attend. This includes parents of Scotus students who are planning to swim at CHS. Students are welcome to attend, but it is not a requirement. 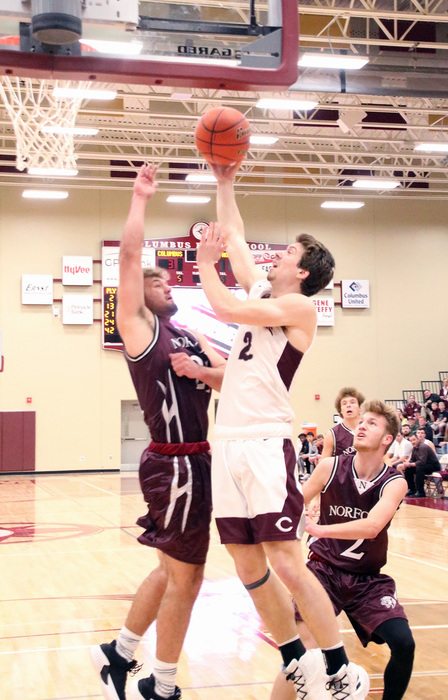 Activities Director Dave Hiebner will have a short address, followed by comments from the CHS Booster Club, and Athletic Trainer Rob Marshall. 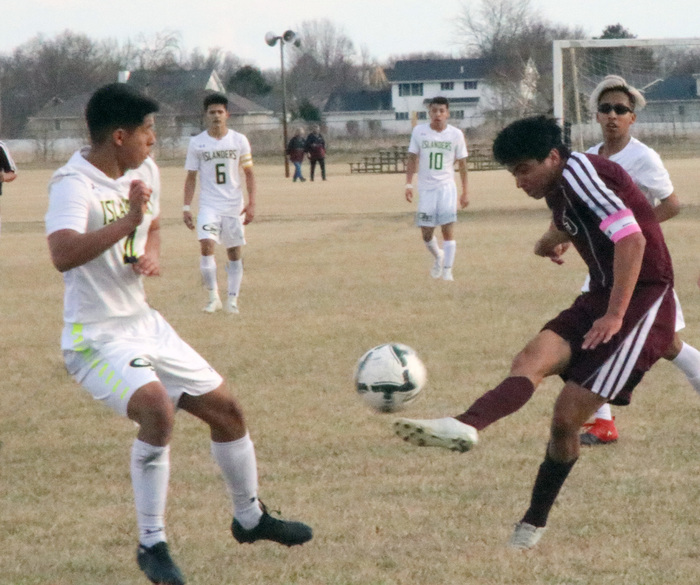 Parents will then go to meetings with their sport-specific coaches. 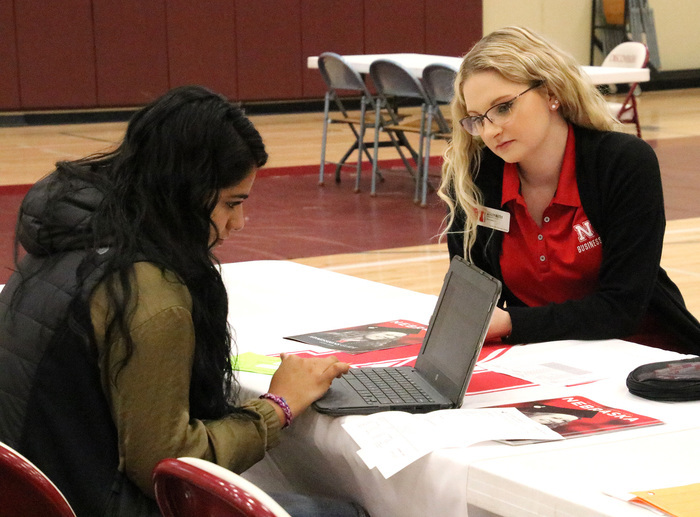 There were 81 CHS students who submitted 147 applications to various colleges or military branches on the Apply 2 College day. 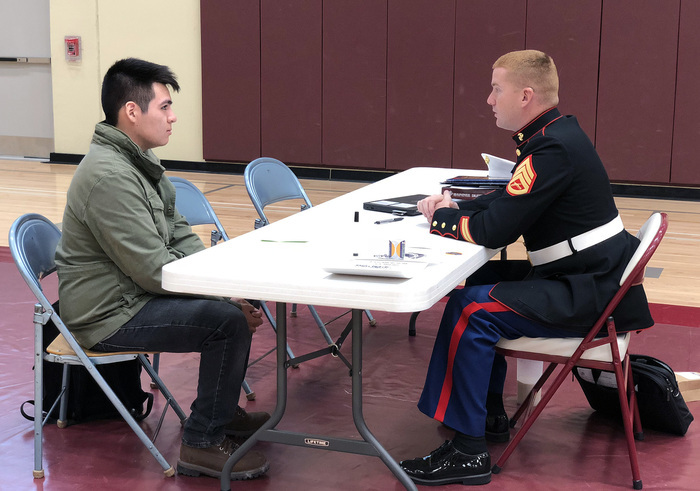 There were 17 colleges and military branches that attended. 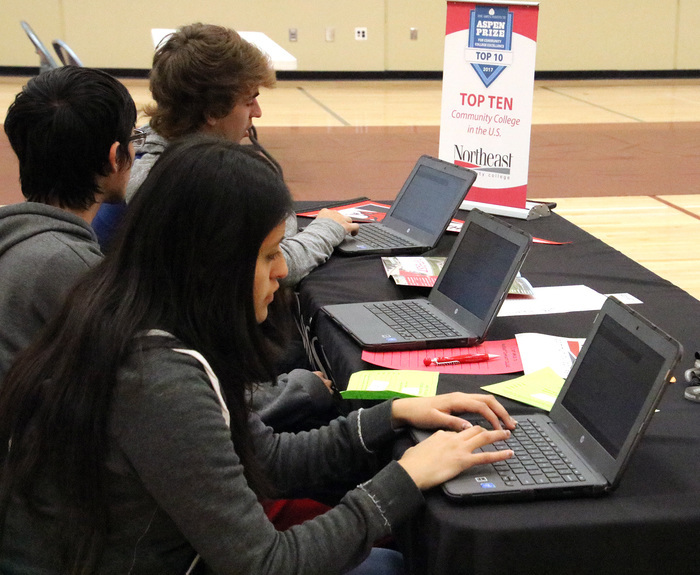 This event happens in conjunction with EducationQuest as a state-wide effort to assist more students in the application process for post-secondary education after high school. 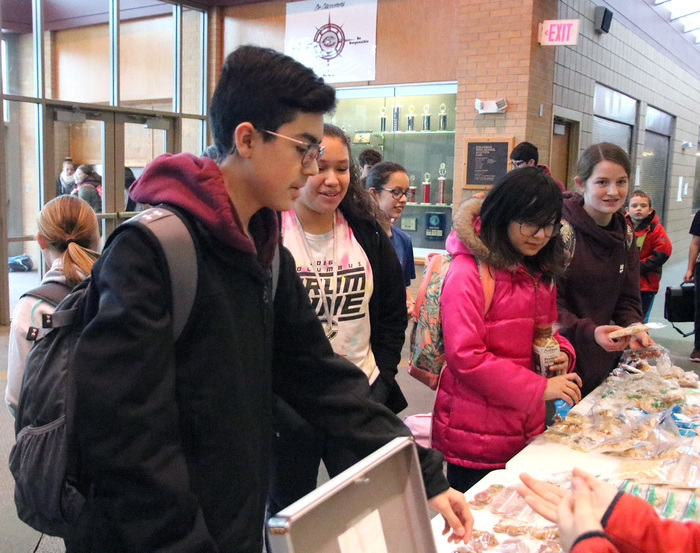 Students were able to choose three institutions to visit, and at that time, they could submit an application or talk to the admissions representative to get more information about the school. 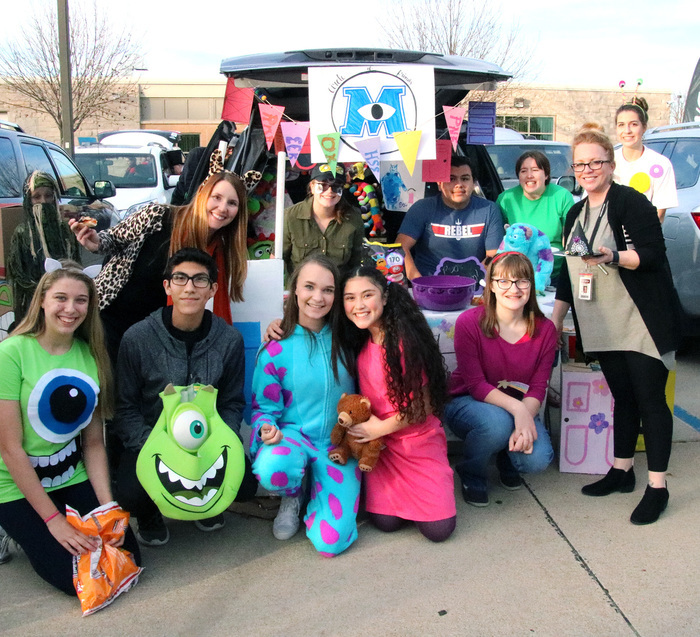 Thank you to the Student Organizations that had a trunk at our Trunk or Treat. 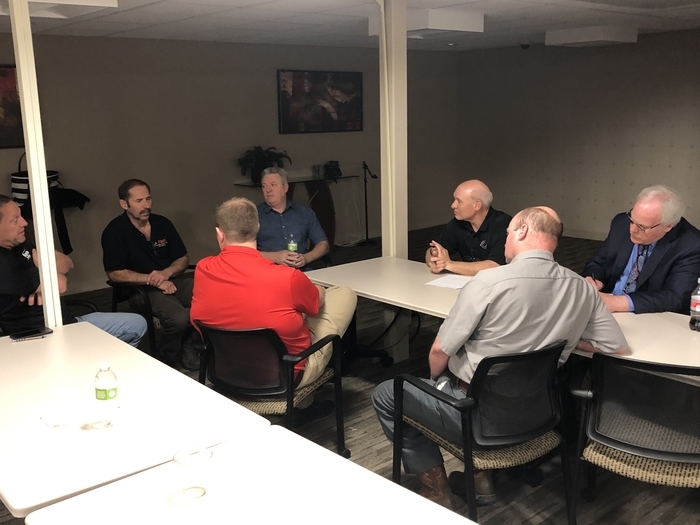 We appreciate you taking time to help! 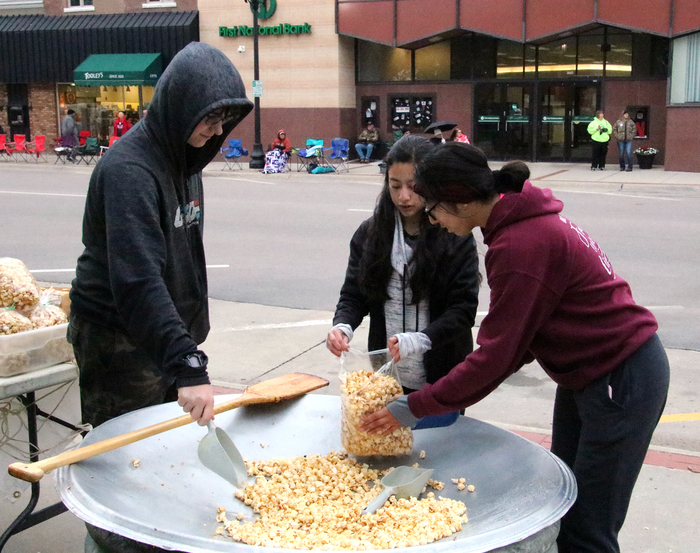 Those that participated from the high school include: Circle of Friends, FBLA, Key Club and Educators Rising. 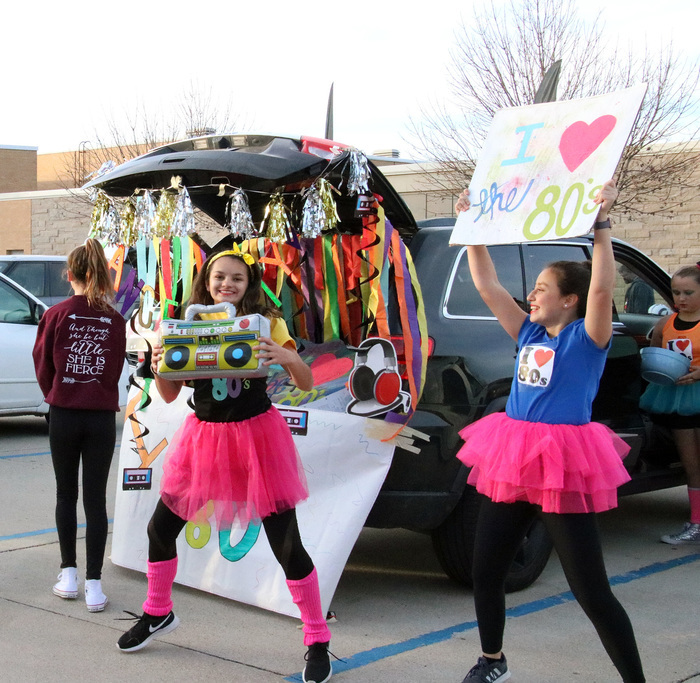 We also had our first middle school trunk with the CMS Cheerleaders. 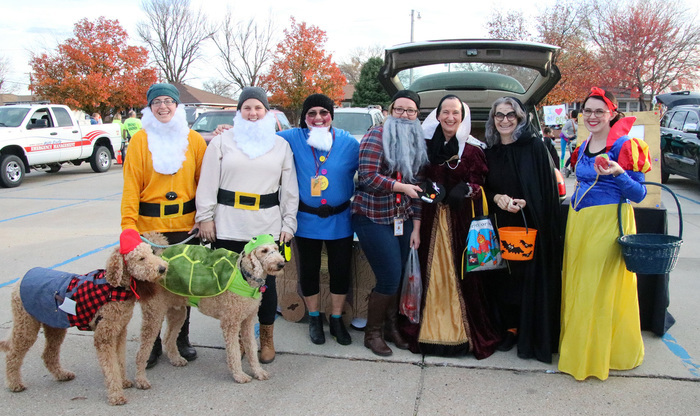 Congratulations to the winners of the CPS Trunk or Treat Contest. 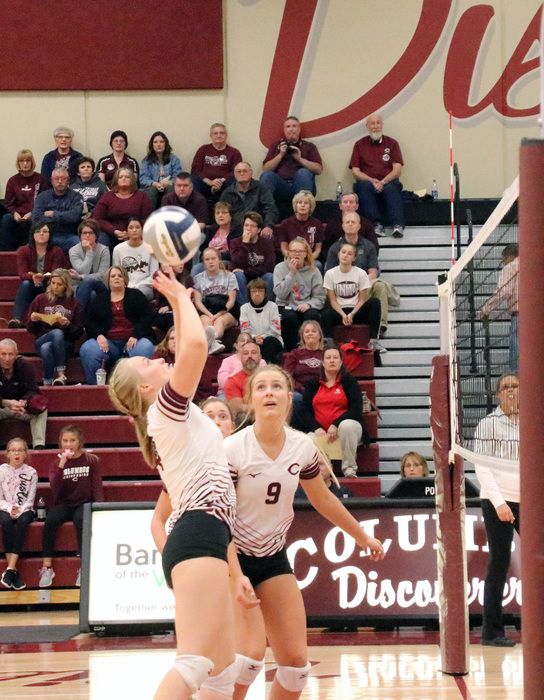 Congratulations to the CHS Volleyball Team for defeating Schuyler and Blair to win the B-5 Subdistrict game. 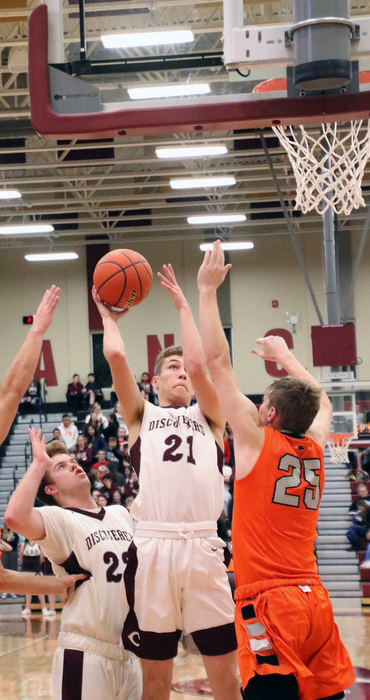 Way to go Discoverers! 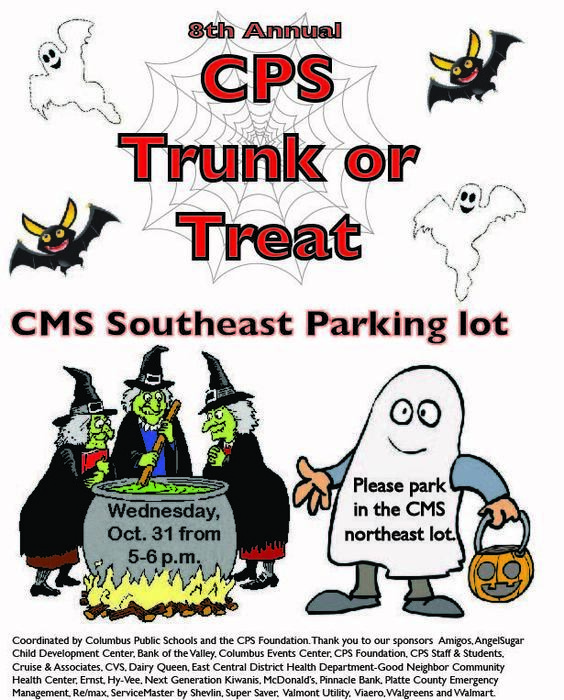 The 8th annual CPS Trunk or Treat event will be Oct. 31 from 5-6 p.m. in the CMS southeast parking lot. Please join us! 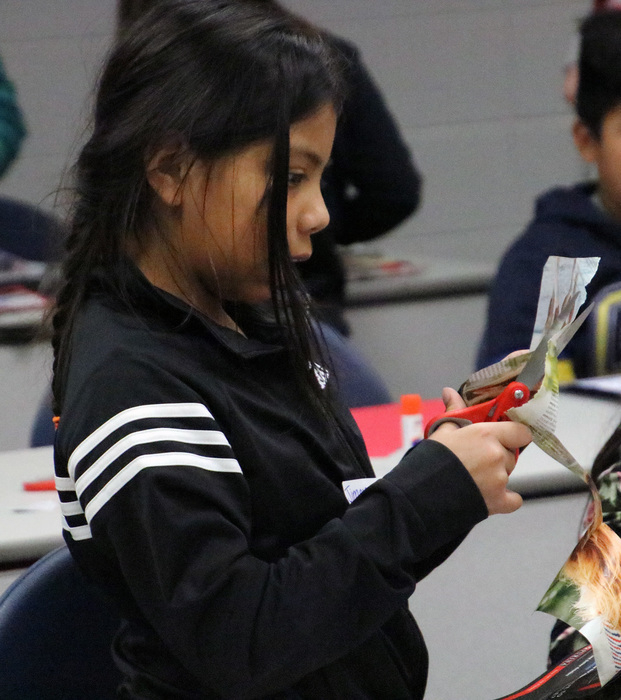 Centennial fourth graders experienced how Paleontologists have used fossils to learn about Nebraska's ancient climate and habitats. 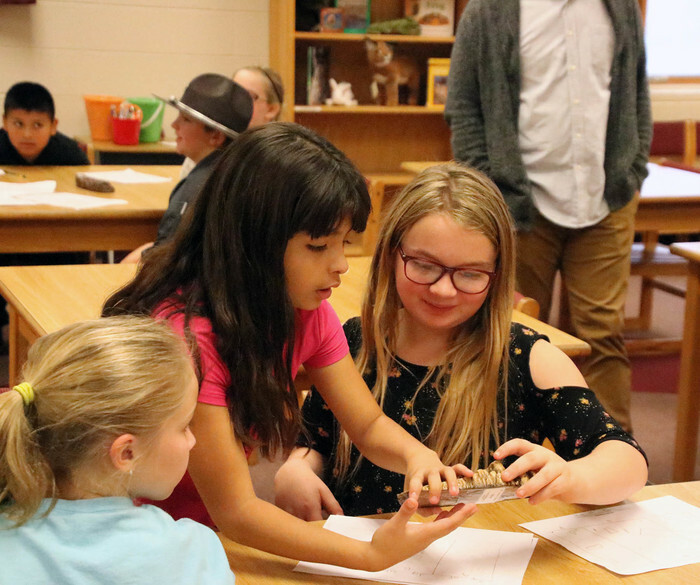 This project started with the students digging for fossils as a team. They encountered lots of small and medium fossils as well as one large mystery fossil. They had to make predictions about what the climate and habitat was like based on the type of fossil they had. 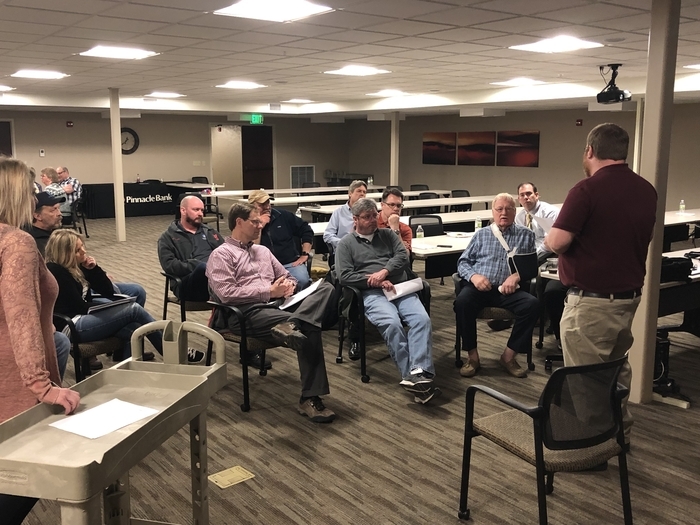 The second day was the interaction with a representative from University of Nebraska Morrill Hall where they then got to actually identify their mystery fossil. The large fossil was the cast of the different elephant (Mammoth and Mastodon) teeth. The students had to determine what the elephant ate then figure out what kind of environment they must have lived in. 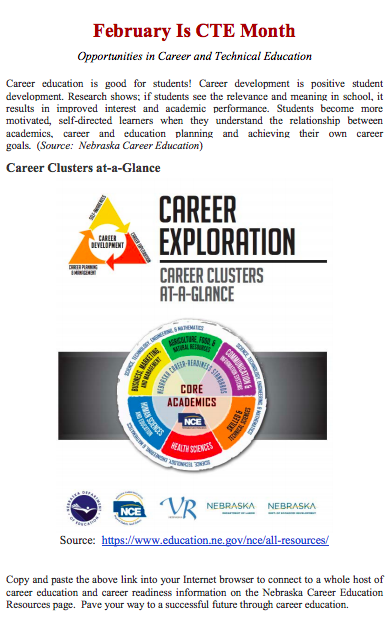 This assignment fit in with the social studies curriculum, which is all about Nebraska history. 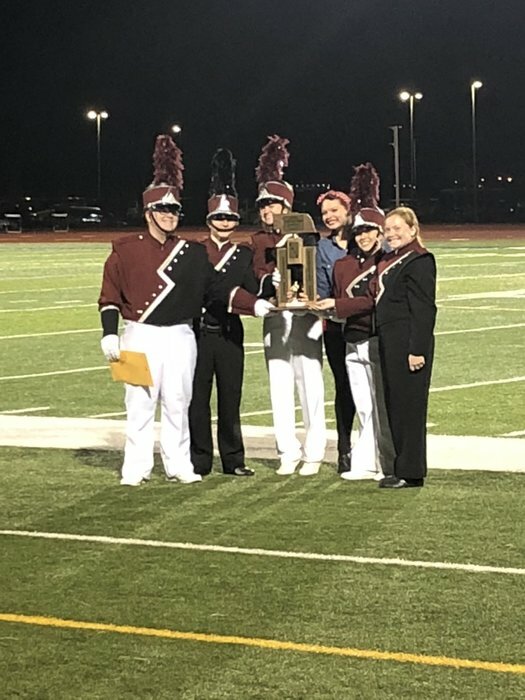 Congratulations to the Discoverer Marching Band for earning a superior rating at the 2018 NSBA State Marching Contest. 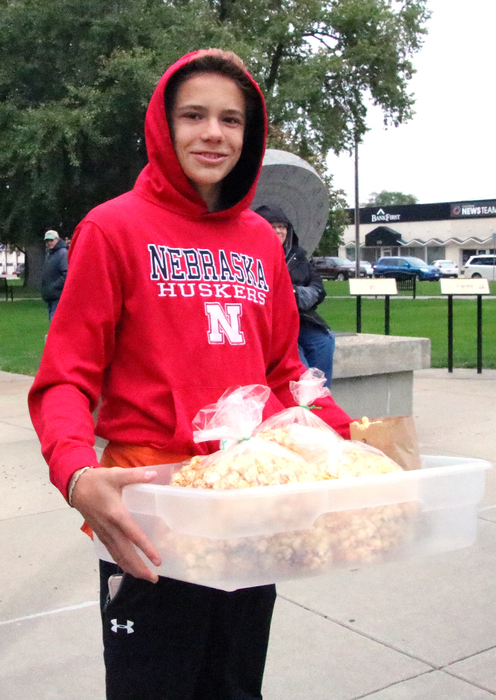 Come out and enjoy a burger before the last home football game against Omaha Northwest tonight. The Burger Bash runs from 5:30-6:45 p.m. and costs $6. 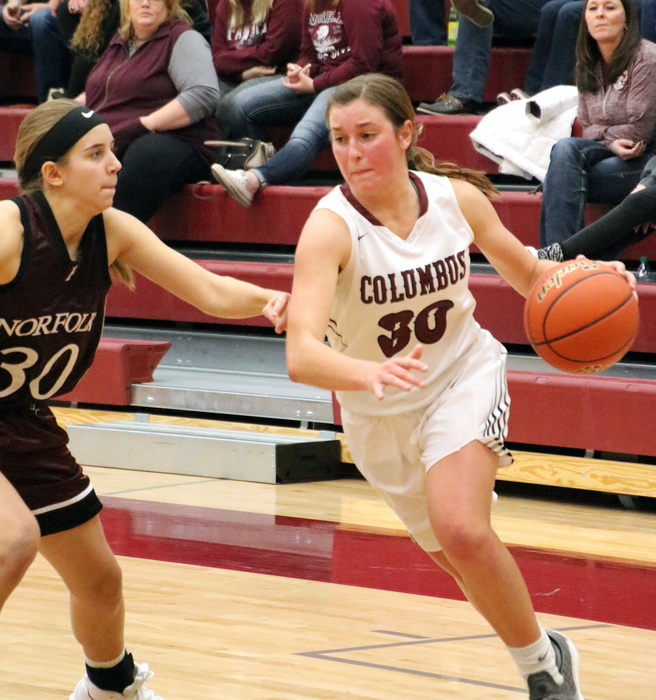 Go Discoverers! 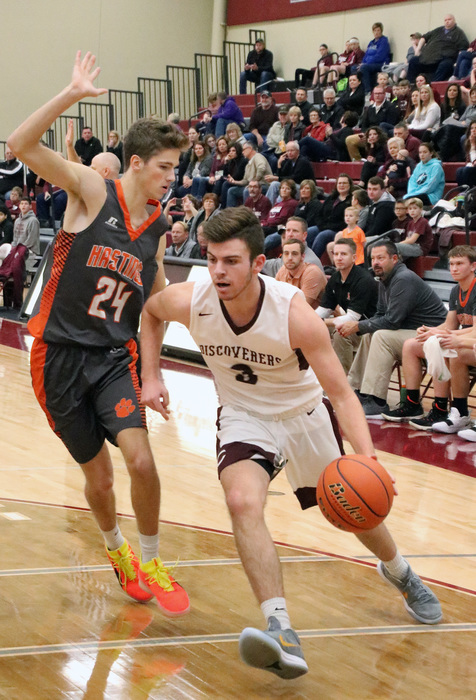 Come out tonight and support the Discoverers, and help them Rally a WIN by purchasing a white rally towel for $5 at the football game. All proceeds will go to CHS Post Prom. 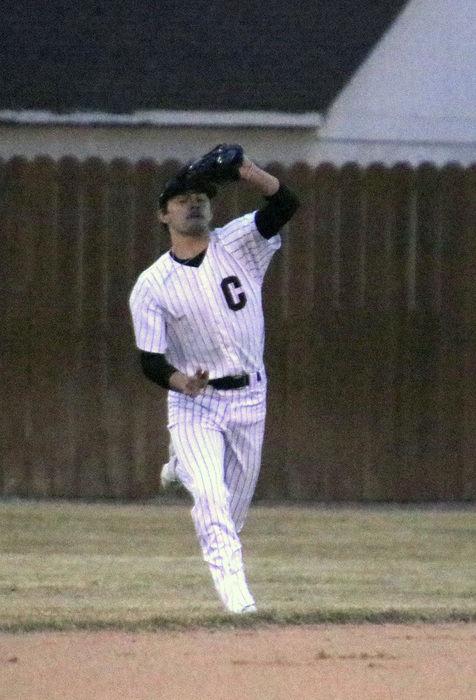 On to state! 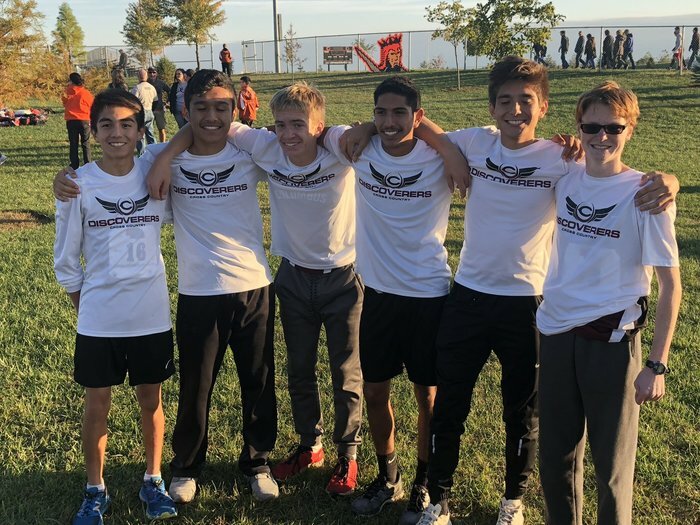 Congratulations to the boys' cross country team for qualifying for state. 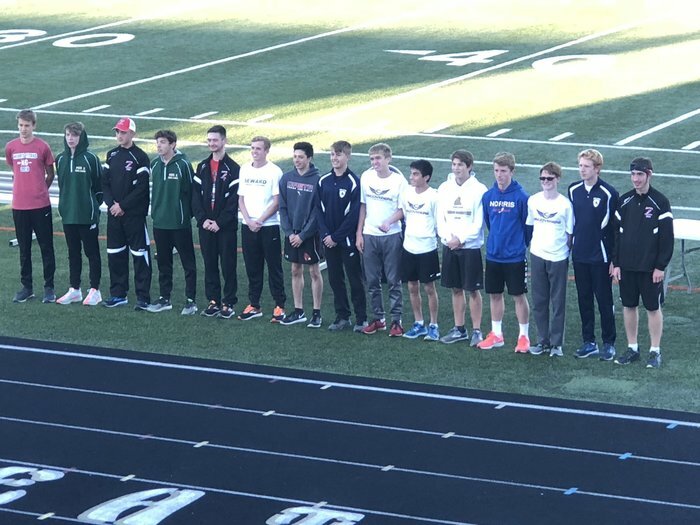 Kudos also go out to Douglas Davidchik for placing 13th, Joe McFarland for placing 10th and Lucas Miller for placing 9th. 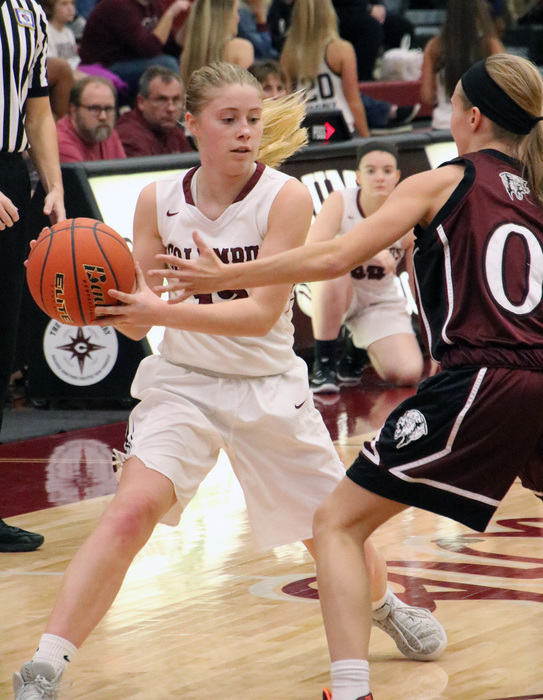 Way to go Discoverers! 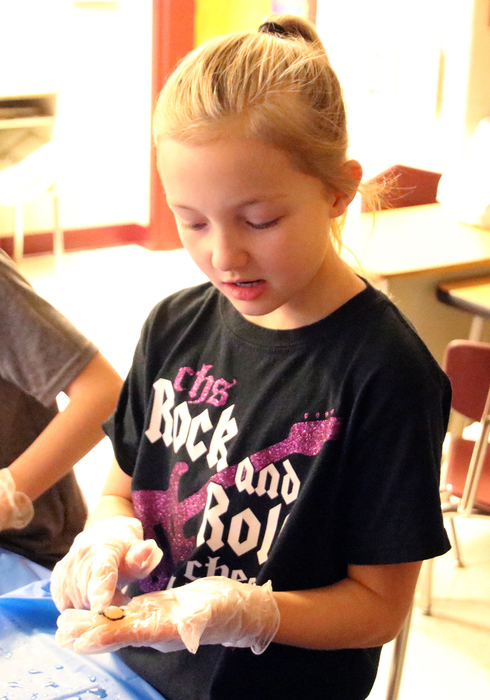 The CMS Talent Show is October 12 at 7 p.m. in the Nantkes Performing Arts Center. Tickets are $3 for students K-12 and $5 for adults. Pre-K and under is free. Activity passes are accepted. Tickets can be purchased in advance at the front office or at the door. 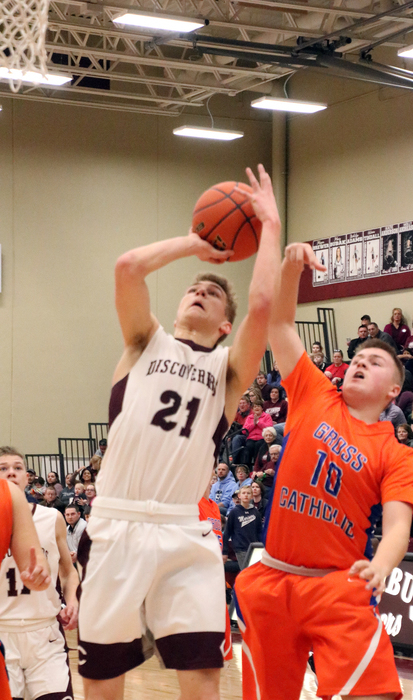 The Discoverer clothing items have arrived. 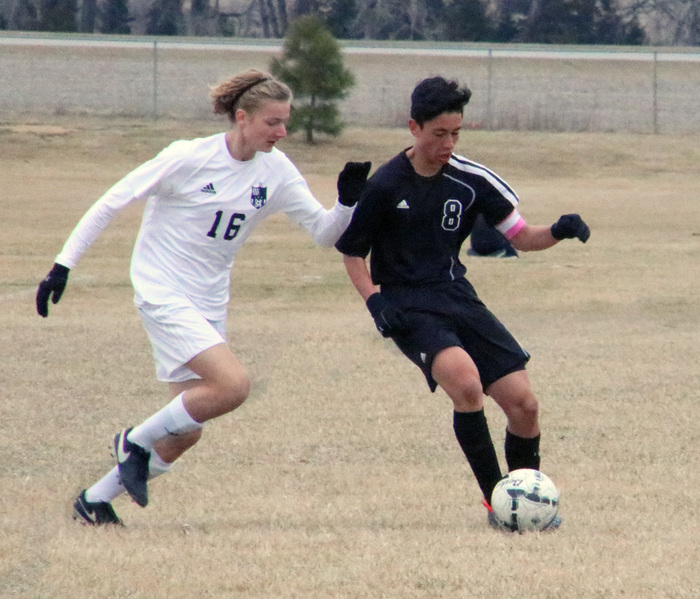 They can be picked up at the CHS main office during regular office hours (7:30-4:30). 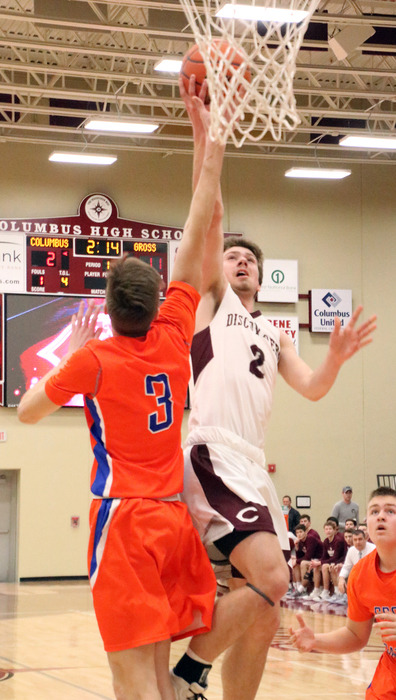 Columbus High School has been informed of an individual named Nathan Geiger who is calling local businesses claiming to be a project manager at Columbus High School selling T-shirt and other advertising. This individual is not authorized nor are they working with Columbus High School. 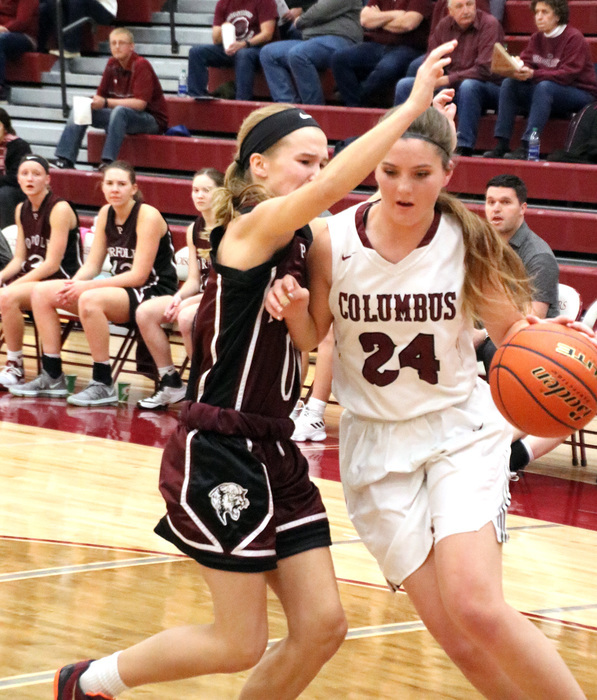 Previously, Sports Media Advertising (formerly known as Boost Sports and Touchdown Sports) has been attempting to sell advertisements claiming they are associated with Columbus High School. The individual claiming to be a project manager at CHS and may be associated with Sports Media Advertising. 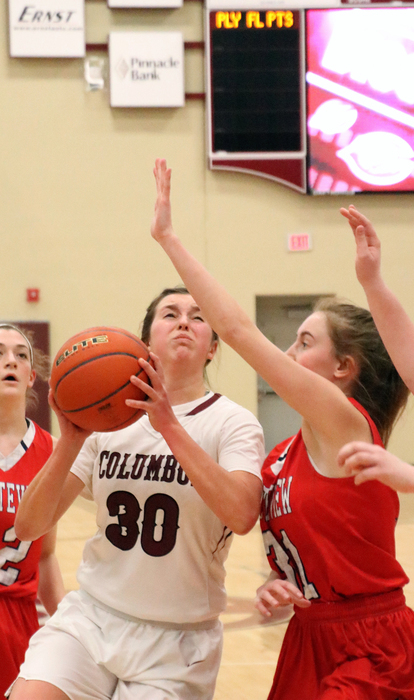 Sports Media Advertising is not connected to Columbus High School in any way and does not have our permission to be representing themselves in this manner. 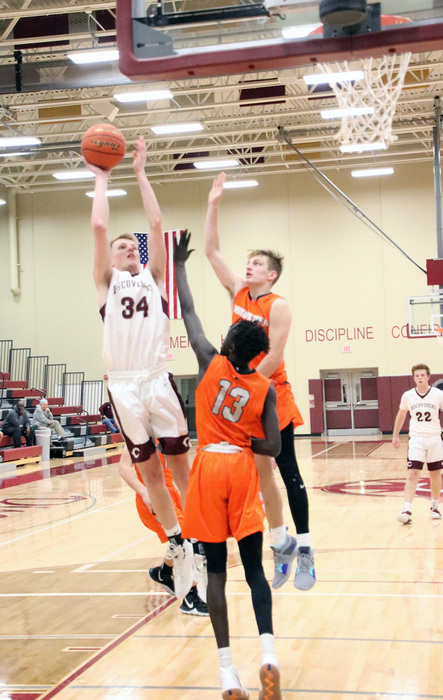 If any local businesses have sent Sports Media Advertising any money, we encourage you to contact Sports Media Advertising and request a refund. CHS Administration has been informed of someone claiming to be a Columbus High project manager selling T-shirt advertising. 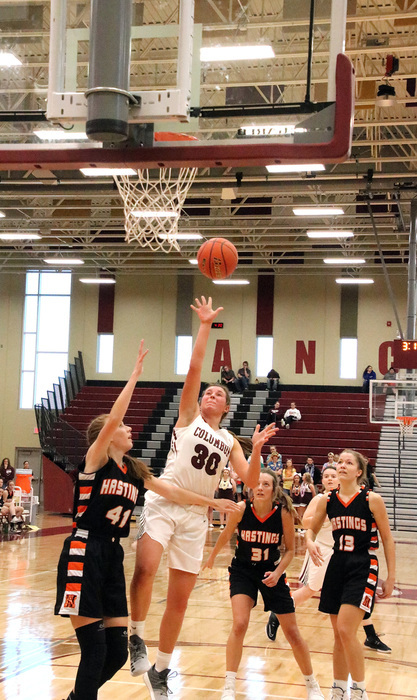 This person is not authorized and is not working with CHS. Please contact the CHS Activities office at 402-563-7050 if you have any questions. Come out to the football game early today to grab a burger or brat and watch the Diamond Dancers. The Diamond Dancers will perform at 6:37 p.m., and the Burger Bash runs from 5:30-6:45 p.m. and costs $6. 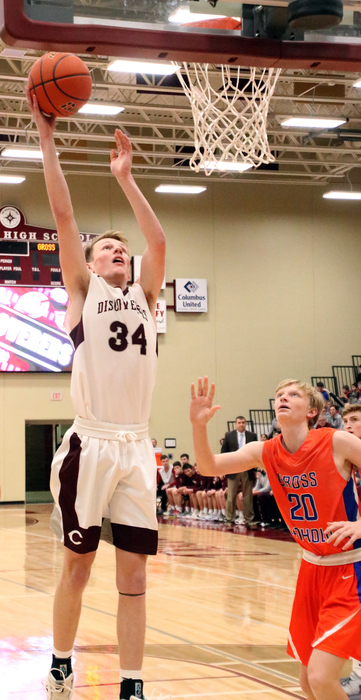 The Discoverers will be playing Millard South at 7 p.m. Go Discoverers! 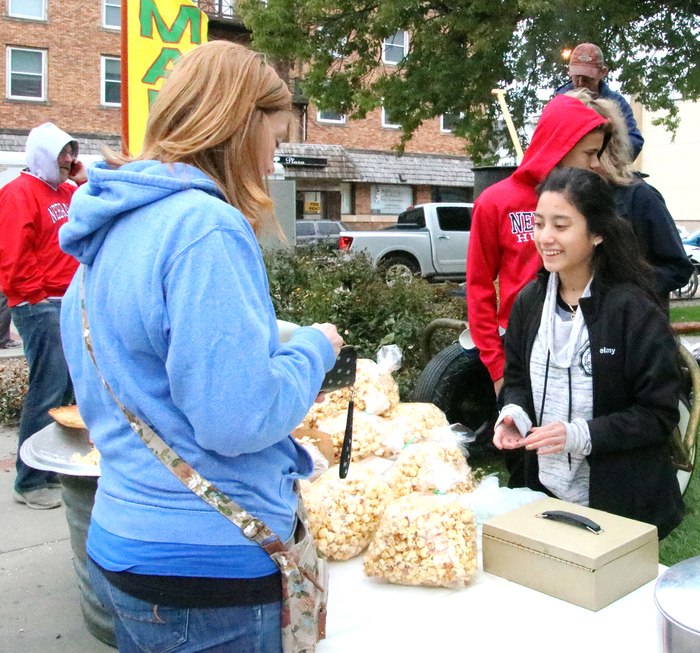 CHS students in Skills USA sold kettle corn during the Columbus Marching Festival. 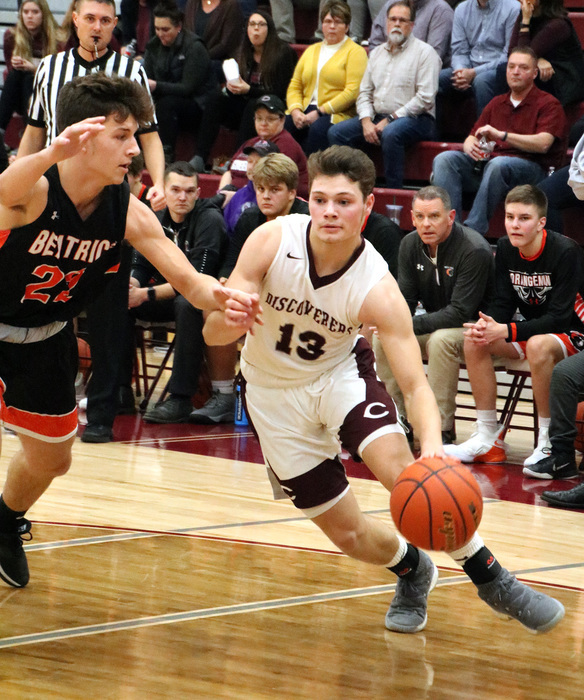 CHS will host the A3 District Wrestling Tournament in February. Good luck to the softball team as they take on Bellevue West in the 1st round of districts today at 10:45. 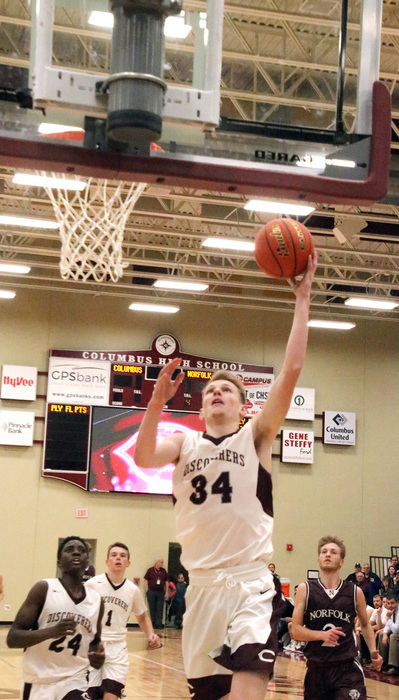 Go Discoverers! “Engaging all learners to achieve success.” That's our Mission - we're pleased to be going in to a brand new year with that Mission in mind! Also, be sure to check out our new apps!